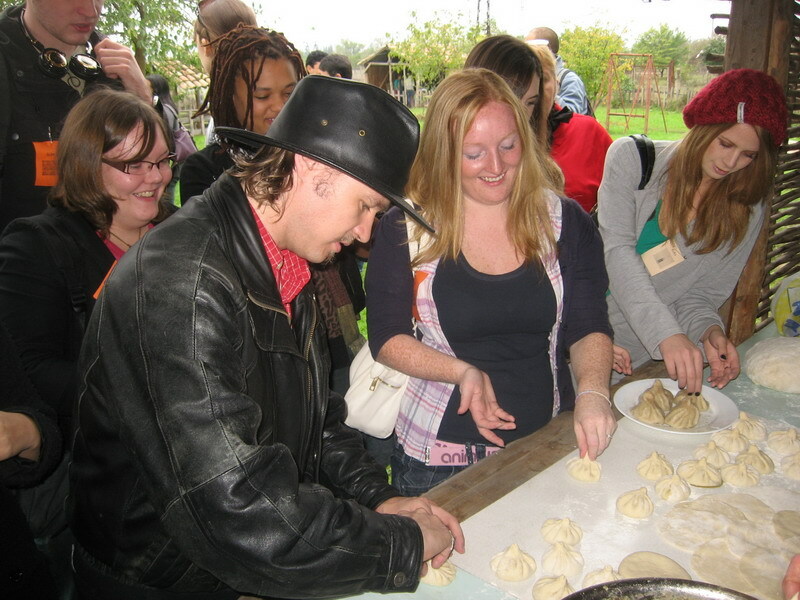 In the scope of the program Teach And Learn With Georgia, 7th group of English language volunteer teachers arrived to Georgia. They will be distributed in Samtskhe-Javakheti region in order to teach the local schoolchildren English language. Resource Officers still hold charity events. 40 Resource Officers, together with the schoolchildren of №1, №10 , № 157 , №29, №52 schools visited Nodar Dumbadze Tbilisi State Central Children’s Theatre and attended the performance Cat’s Tale according to Carel Capek. 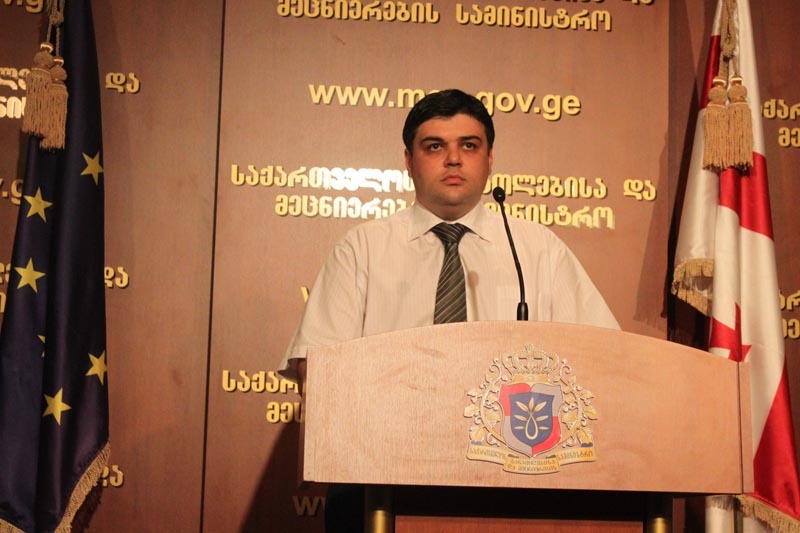 Minister of Education and Science of Georgia, Dimitri Shashkini awarded the winners of the competitions, that were held in the scope of the week, dedicated to 170th anniversary of Akaki Tsereteli. On October 29, presentation of an exact copy of Akaki’s “Salamuri” that was published in 1893 was held as well. Minister of Education and Science of Georgia, Dimitri Shashkini met the representatives of the Private School Association of European countries. The delegation was composed with the members of Union of Latvian Private Schools. Resource Officers begin to hold charity events. 40 Resource Officers visited Gldani orphanage and presented the children with the books, sweets and toys. In order to advance the teaching level in natural sciences and attract schoolchildren’s interest, implementation of the program “Einstein” has begun in Public Schools. 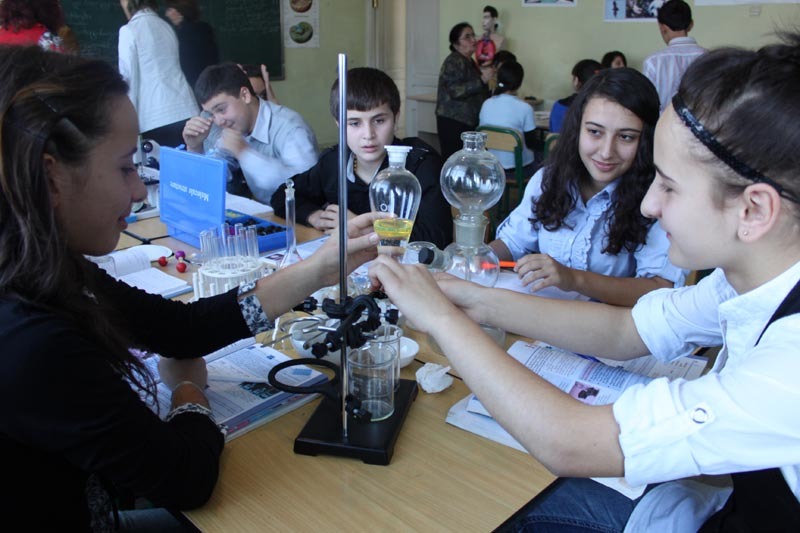 In the scope of the program, Minister of Education and Science of Georgia, Dimitri Shashkini provided Tbilisi Public School №157 with the lab for natural sciences. New school was constructed in the village of Mleta. 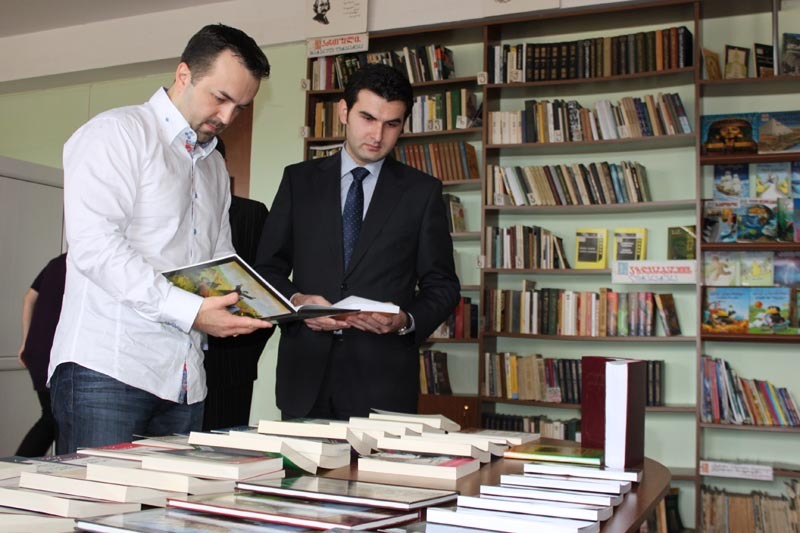 Minister of Education and Science of Georgia visited newly opened school and donated literature to the school library. 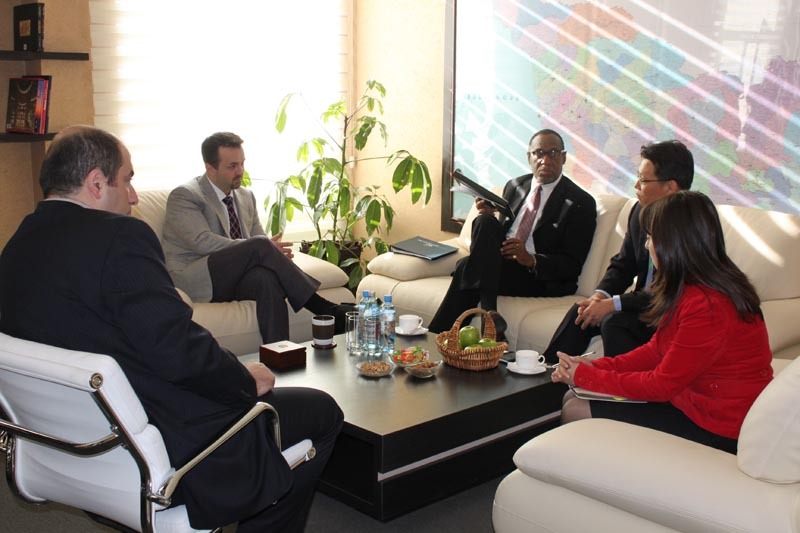 Minister of Education and Science of Georgia, Dimitri Shashkini met with Dr. Curtiss E. Porter, Chancellor, Office of the Chancellor, Penn State Greater Allegheny and Dr. John Kang, Director, Asia Collaboration, Institute for Software Research, School of Computer Science, Carnegie Mellon University. By the initiative of MES, implementation of the program “Einstein” begins from October 26 in the Public Schools of Georgia. 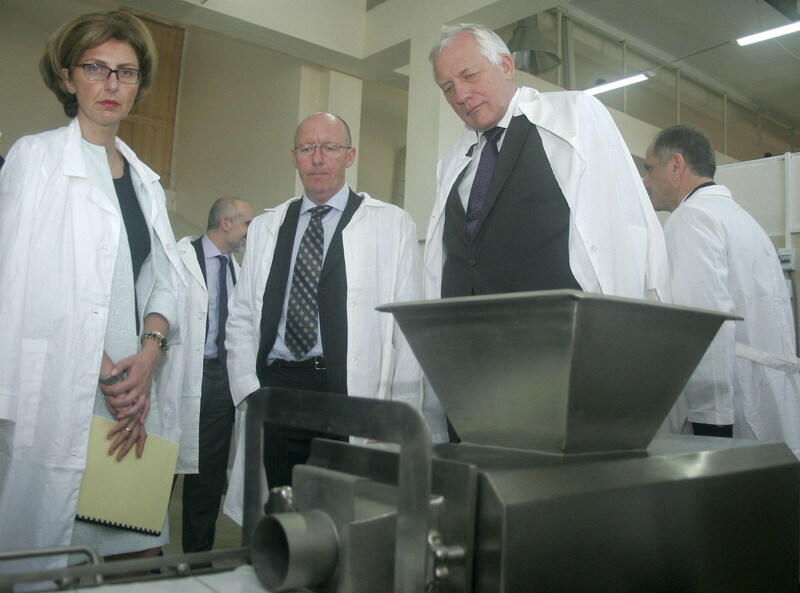 The program envisages refurbishing of the school labs in the natural sciences. 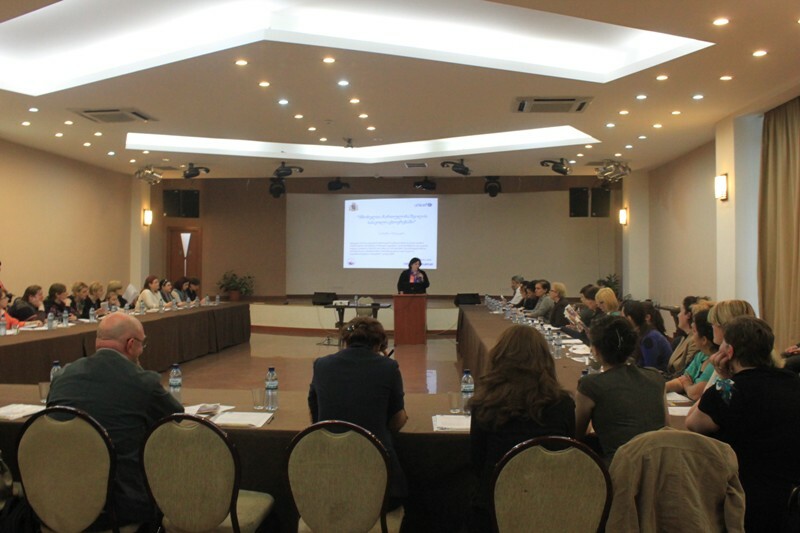 The Ministry of Education and Science of Georgia together with the National Centre for Educational Quality Enhancement continues a series of Regional Academic Summits and trainings for higher educational institutions in the framework of the Twinning/CEIBAL project. In the frame of the week, reading in public We Together Read Akaki’s Writings was held in Kutaisi Tsereteli State University. 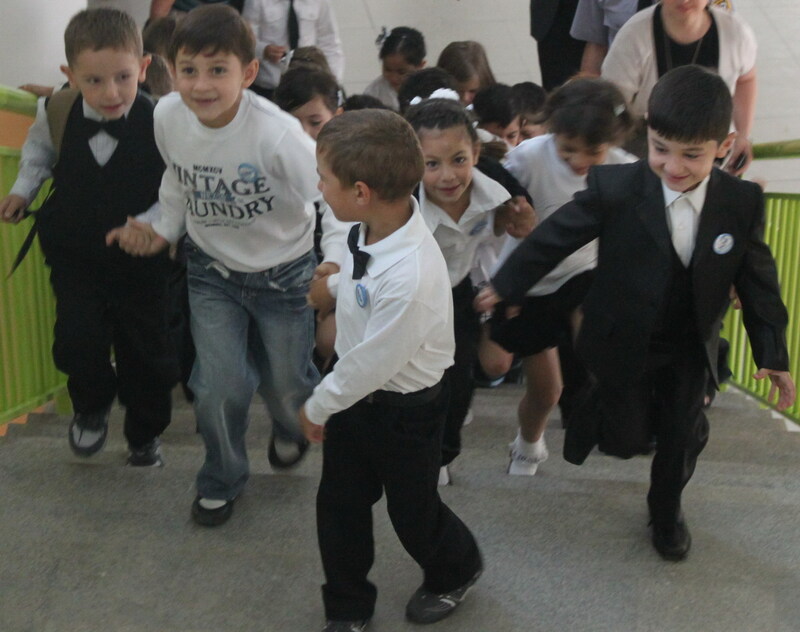 Students of the university as well as the schoolchildren of Kutaisi Public School took part in the event. Week dedicated to 170th anniversary of Akaki Tsereteli was opened with the scientific conference held at Iv. Javakhishvili Tbilisi State University. Education Employers Union of Georgia in cooperation with MES will train the principals of Public Schools. 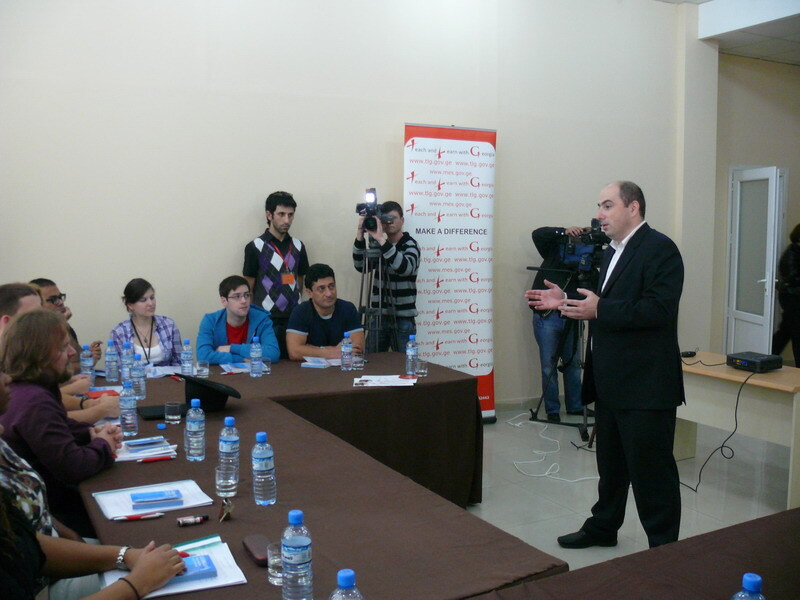 Minister of Education and Science of Georgia, Dimitri Shashkini attended the presentation, prepared by the Union. 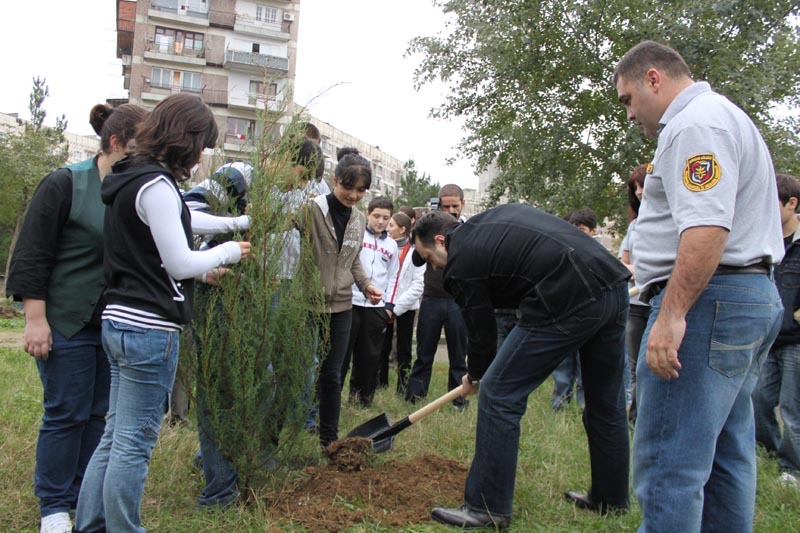 In the scope of the campaign Plant a Tree, Make Tbilisi Green, Resource Officers planted trees in 5 Public Schools of Tbilisi together with the schoolchildren. Kachreti Vocational Education and Training Center hosted around 100 English language teachers who have arrived in Georgia in the scope of the program Teach And Learn With Georgia. Deputy Minister of Education and Science of Georgia, Irine Kurdadze took part in the event. Deputy Minister of Education and Science of Georgia, Irine Kurdadze met with the representatives of the delegation of the University of Latvia. Two-day visit was designed to get familiarized with the ongoing reforms and share experience in the scope of Mentor and Induction State Program. Vice President of the company Intel, General Manager of Intel World Ahead Program, John Davies and Regional Manager in Central Asia and Caucasus, Dmitri Cissell are paying an official visit to Georgia by the invitation of MES. Deputy Minister of Education and Science of Georgia, Irine Kurdadze met with the Deputy Minister of Education and Research of Norway, Lisbet Rugtvedt. All key issues of inclusive education, currently existing in Georgian education system as well as successful steps in this direction were discussed at the meeting. LEPL National Center for Education Quality Enhancement, operating under MES developed National Qualification Framework for the first time in the education system. 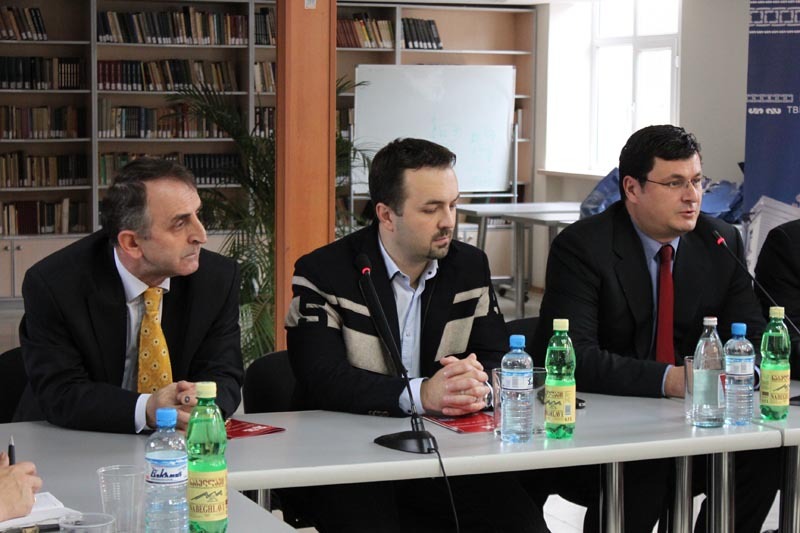 Award ceremony of the winners of the competition Master and Bachelor Papers on NATO and Security was held at MES. 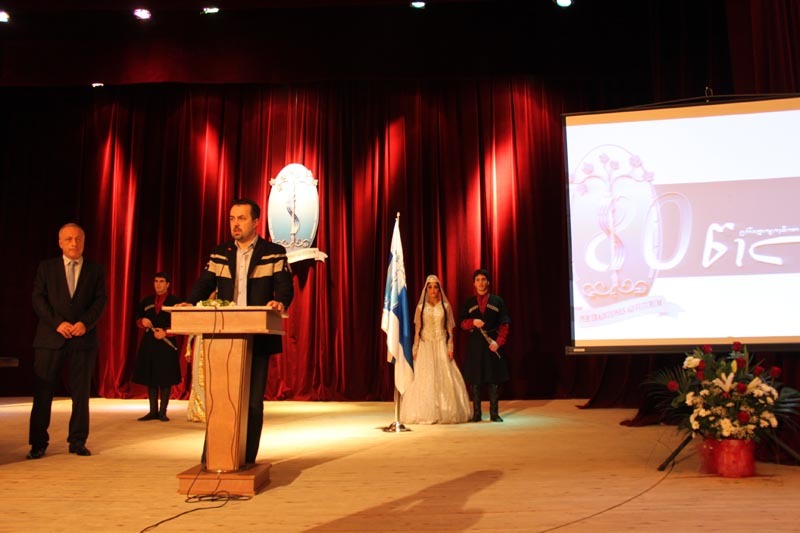 Tbilisi State Medical University celebrates its 80th anniversary. 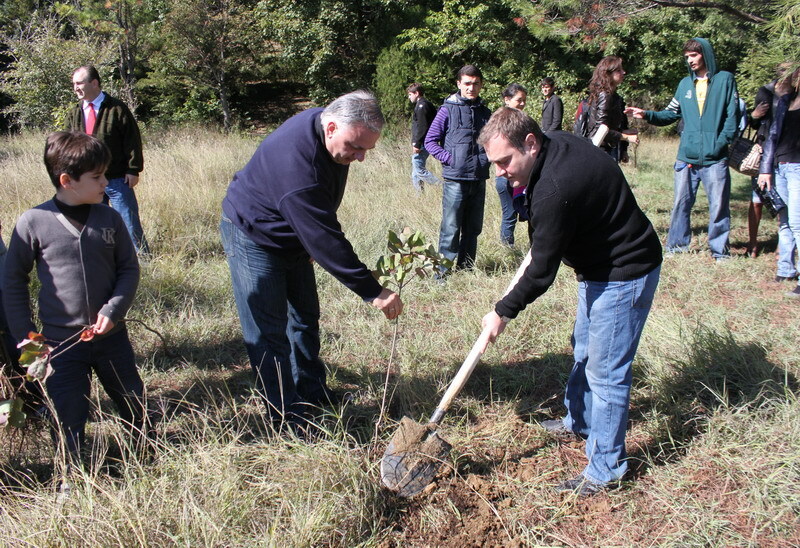 In the scope of the anniversary week, Minister of Education and Science of Georgia, Dimitri Shashkini visited the Education Institution and took part in several events. 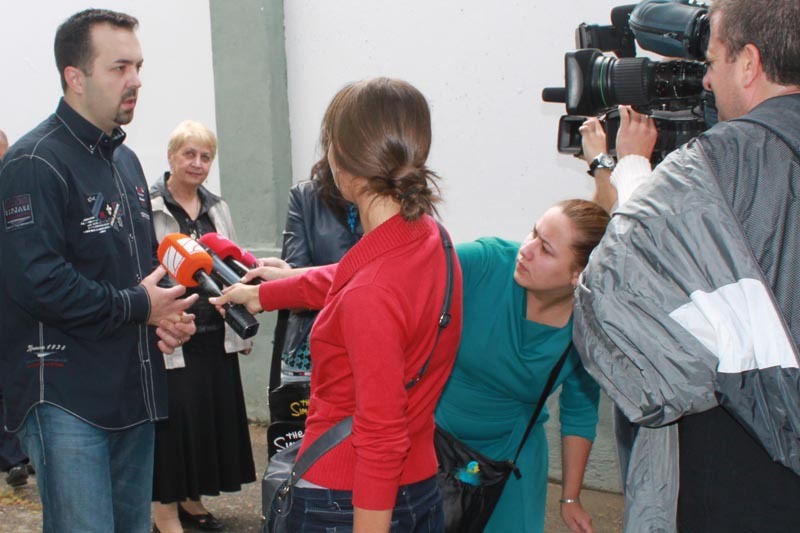 In the scope of NATO week, holding of information meetings on NATO continues in the Public Schools. Minister of Education and Science of Georgia, Dimitri Shashkini attended the conference Euro-Atlantic Integration of Georgia: Role of International Society. 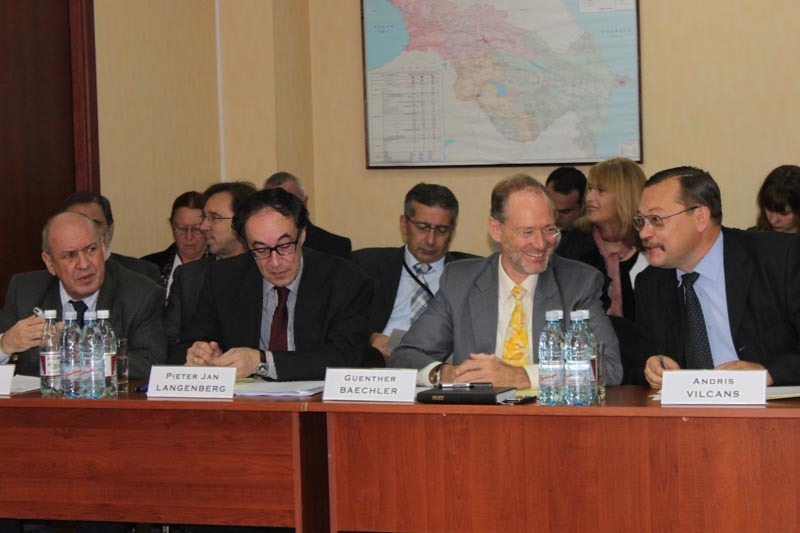 Minister held a presentation on Investment in Georgian Human Capital for the attendants. 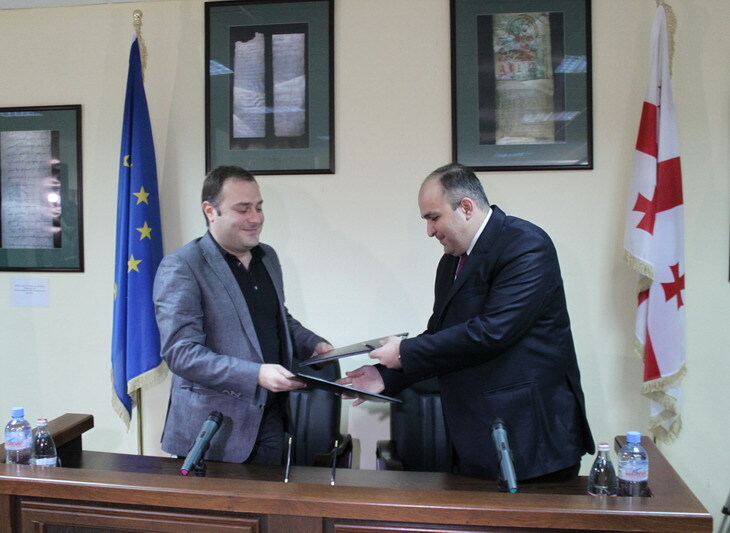 Memorandum of Cooperation was signed between the Ministry of Education and Science of Georgia and Tbilisi City Court. Minister of Education and Science of Georgia, Dimitri Shashkini and Chairman of the air company “Airzena”, Tamaz Gaiashvili gave a class in aviation to the schoolchildren of Tbilisi Public School №47. In the scope of the Safe School Concept, Resource Officers will operate in all Public Schools of Zugdidi. 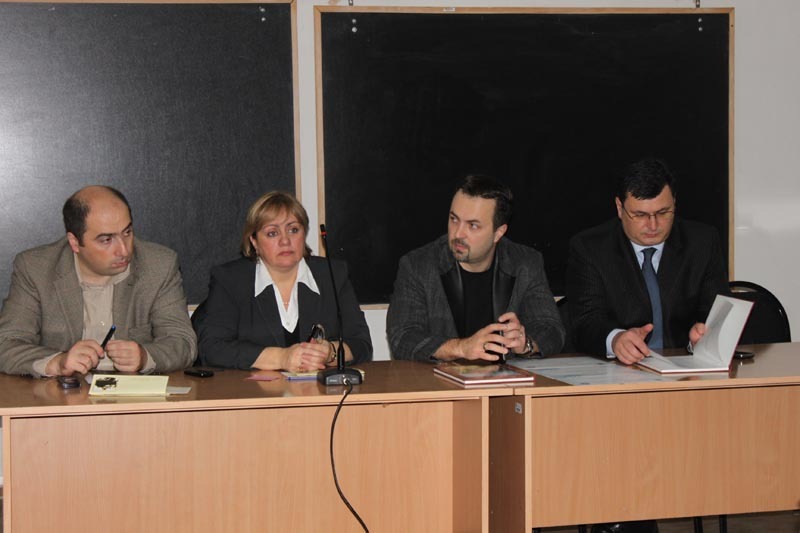 Deputy Minister of Education and Science of Georgia, Irine Kurdadze introduced three-person group of Resource Officers to Zugdidi Public School №2. Refurbishing of the school libraries still continues. Minister of Education and Science of Georgia, Dimitri Shashkini and General Director of BasisBank, David Tsaava presented the library of Public School №45 with the books. 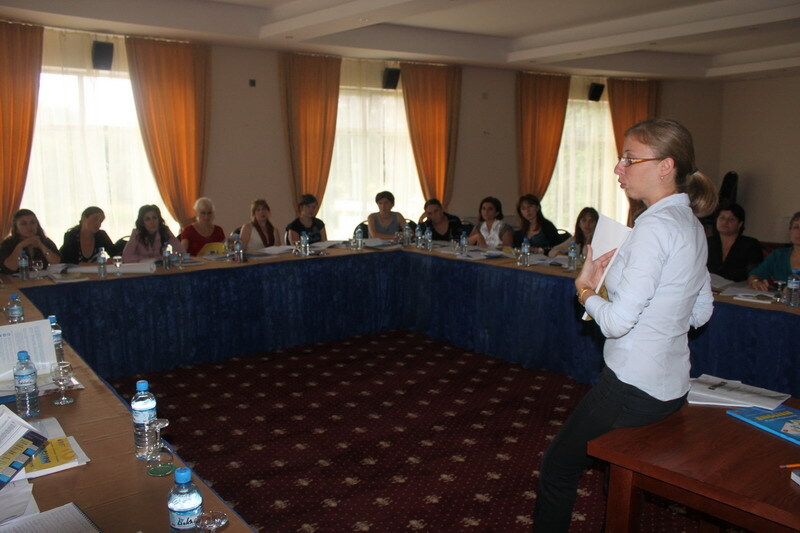 Trainings in IT for the teachers of the first graders are still held. 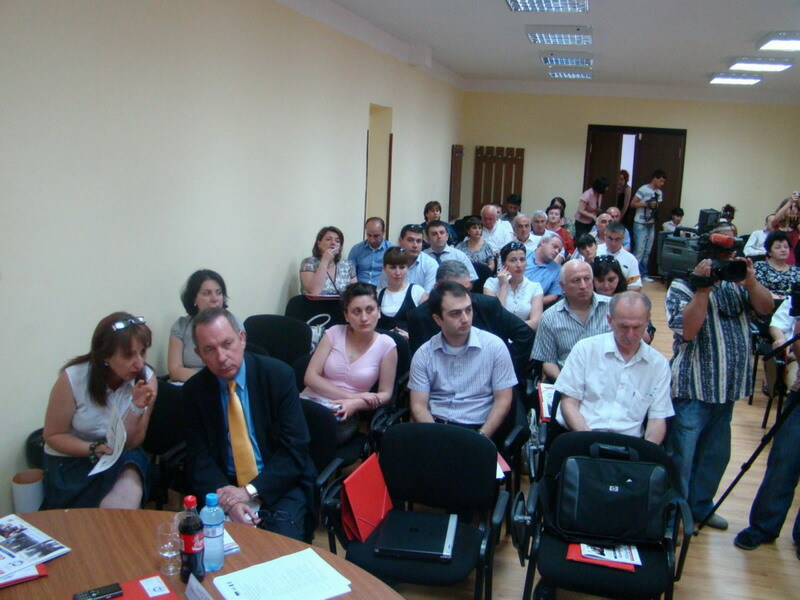 Trainings are given throughout the whole Georgia. Totally, trainings will be held for the teachers of 110 schools who were provided with the netbooks. In the scope of the program Teach And Learn With Georgia, another group of foreign teachers arrived in Georgia. 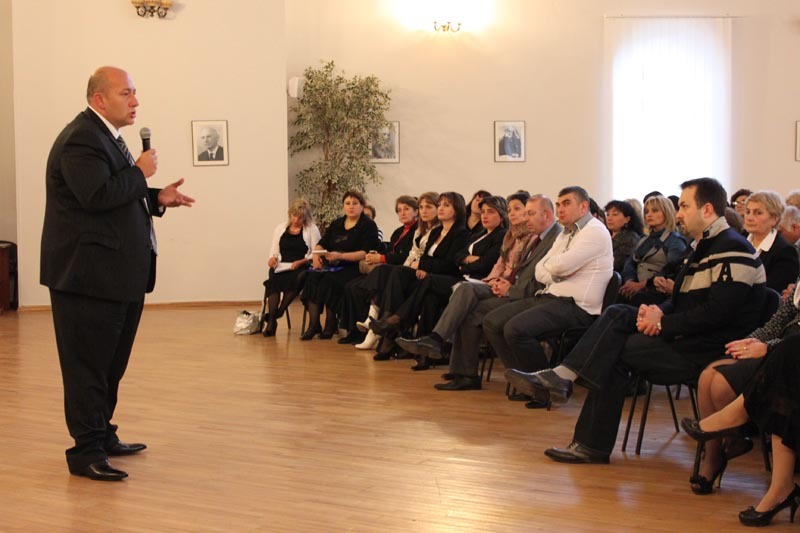 Deputy Minister of Education and Science of Georgia, Nodar Surguladze held a meeting with volunteer teachers. In the scope of the visit in Armenia, Minister of Education and Science of Georgia, Dimitri Shashkini and Minister of Education of Armenia, Armen Ashotyan signed a Memorandum of Cooperation. 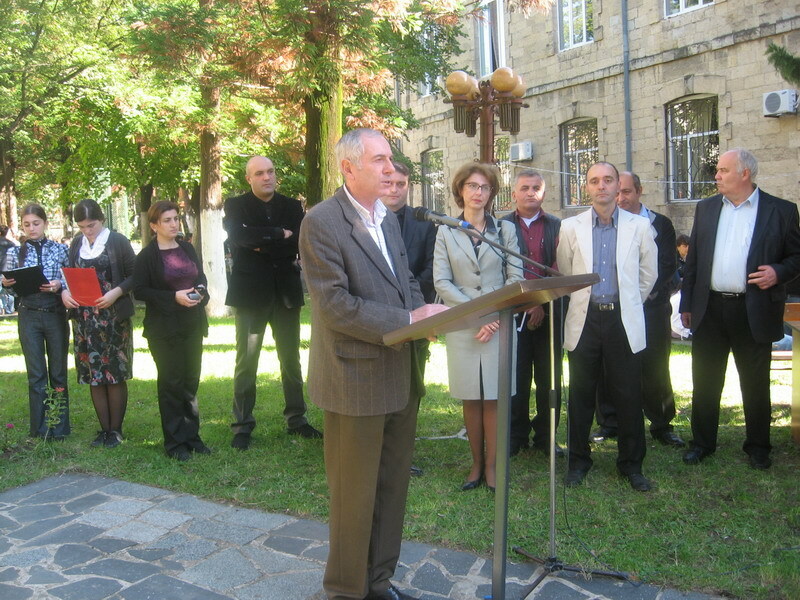 For the first study in Georgian-Armenian history, Georgian Studies faculty was opened in Yerevan. 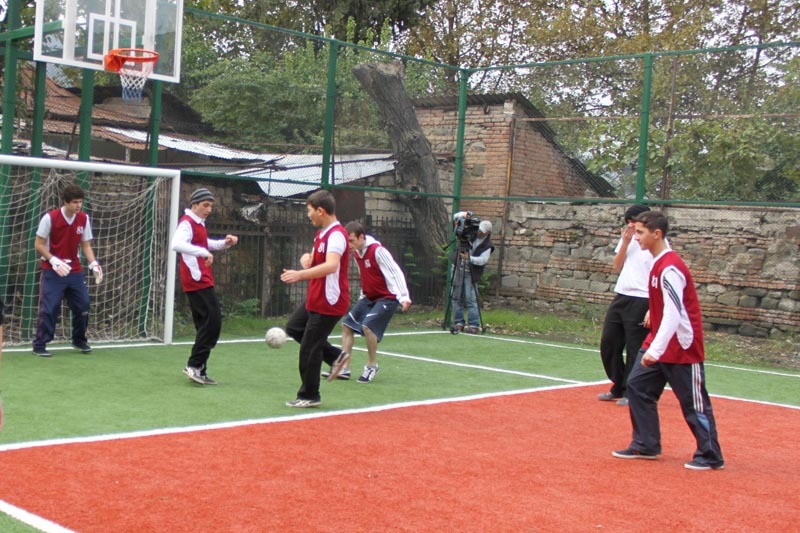 The schoolchildren of Public School №81 will be given sports classes at the new stadium from now on. Minister of Education and Science of Georgia, Dimitri Shashkini opened the stadium today. 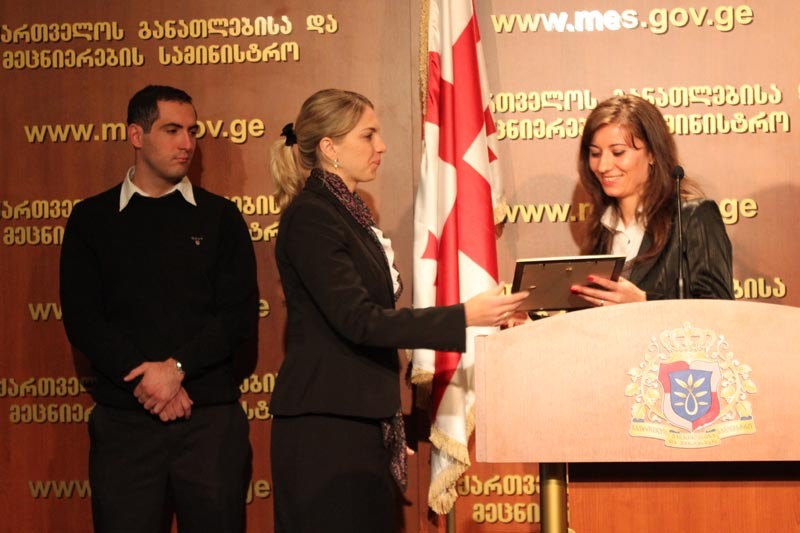 Minister of Education and Science of Georgia, Dimitri Shashkini and Public Defender of Georgia, George Tugushi awarded the winners of the competition Me as an Ombudsman. 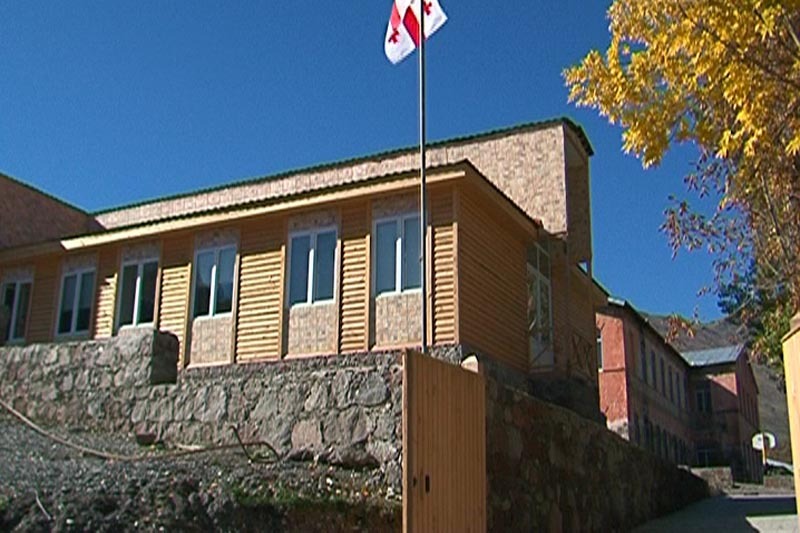 By the initiative of the President of Georgia, new building for the schoolchildren of the primary school was constructed. As a result, number of the first graders increased and the demand for this school is being satisfied. 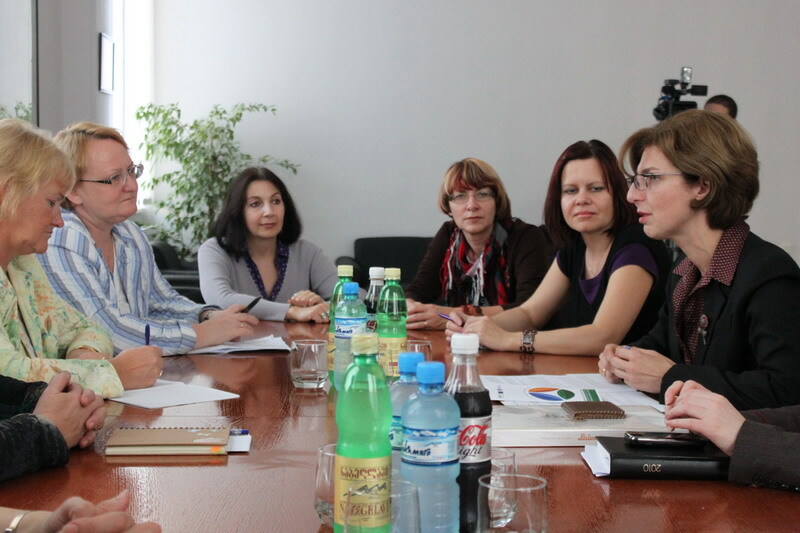 National Curriculum and Assessment Center of MES finished working on the project of 2011-2016 National Curriculum. 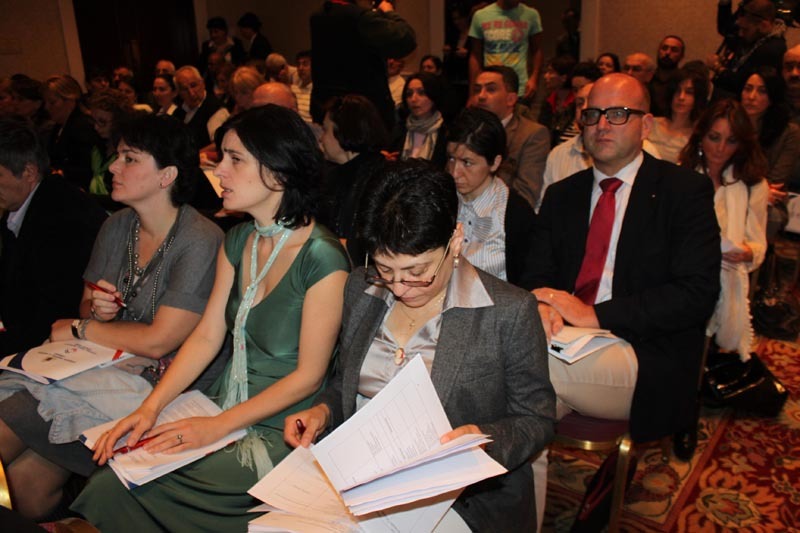 Minister of Education and Science of Georgia, Dimitri Shashkini and Director of the Center, Natia Jokhadze held a presentation of the National Curriculum project at Radisson Blue Iveria. 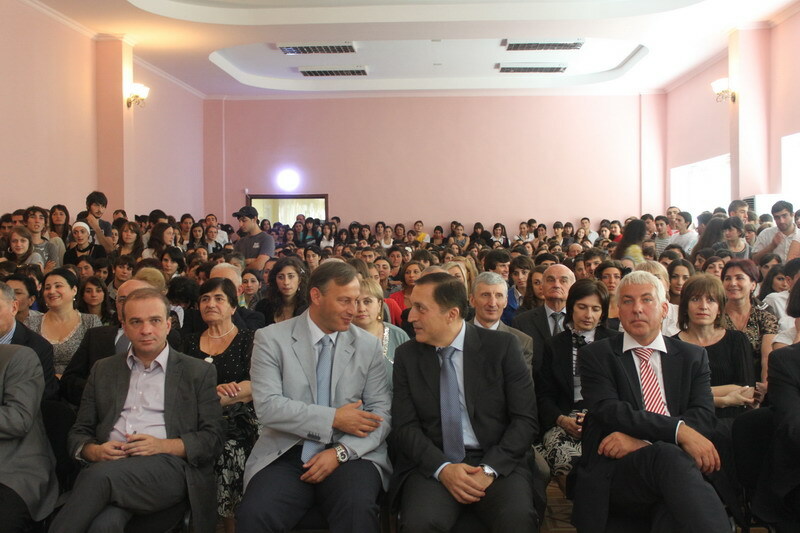 Minister of Education and Science of Georgia, Dimitri Shashkini and Minister of Internally Displaced Persons from the Occupied Territories, Accommodation and Refugees of Georgia, Koba Subeliani presented around 70 schoolchildren of Perevi Public School with the textbooks of 5,000 GEL. 10th October - International Day Against the Climate Change is celebrated across the world and more than 40 countries of Europe, including all EU member states, take part in it. Minister visited IT demo center of Estonia today. Estonia is the leading country of EU in IT.Around 30 IT companies are included in demo center. First Deputy Minister of Education and Science of Georgia, Koka Sepherteladze and Rector of the Academy of the Ministry of Internal Affairs, Khatia Dekanoidze awarded 27 resource officers with certificates. 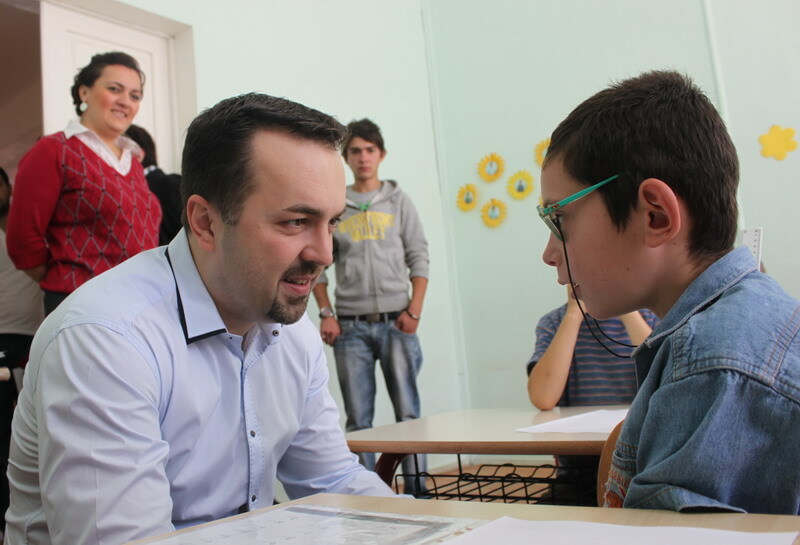 First Deputy Minister of Education and Science of Georgia, Koka Sepherteladze and Director of the Information Center on NATO, Tengo Gogotishvili gave a lecture on NATO to the refugee schoolchildren of Tserovani Public School. Minister of Education and Science of Georgia, Dimitri Shashkini called the United States Secretary of State Hillary Clinton’s announcement on the project Teach And Learn With Georgia as very important. In the scope of an official visit to the Republic of Estonia, Minister of Education and Science of Georgia, Dimitri Shashkini held a meeting with Estonian students and representatives of NGOs at Tartu University. Minister of Education and Science of Georgia, Dimitri Shashkini has paid official visit to the Republic of Estonia. 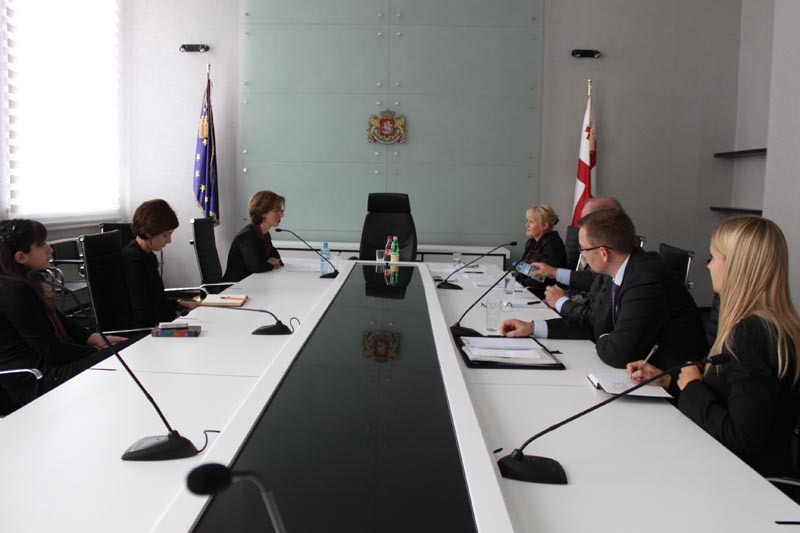 Minister has already met the Minister of Education and Research of the Republic of Estonia, Tonis Lukas. By the initiative of the Ministry of Education and Science of Georgia, pilot program of the project Computers For Everyone will be launched from October 11. The project is designed to give all social groups of society opportunity of buying desired computer or notebook for the special price. 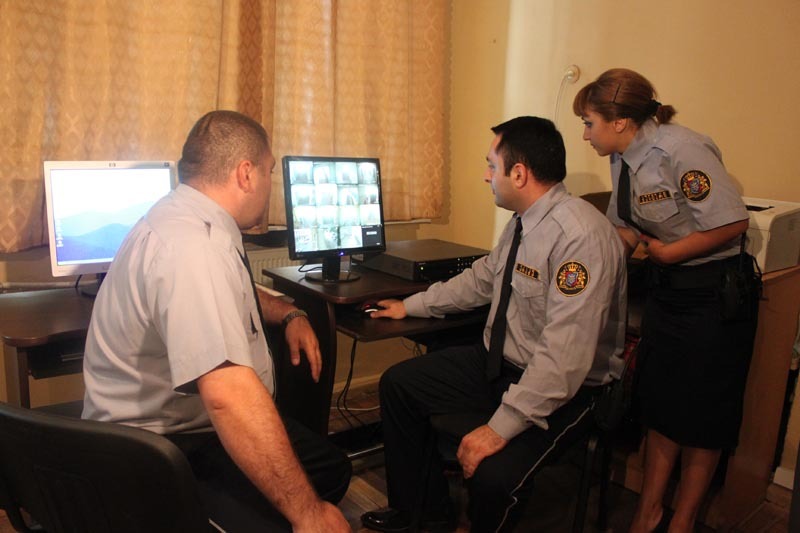 Deputy Minister of Education and Science of Georgia, Giorgi Chakhnashvili and Rector of the Police Academy of the Ministry of Internal Affairs of Georgia, Khatia Dekanoidze introduced Resource Officers at Kutaisi Public School №1. 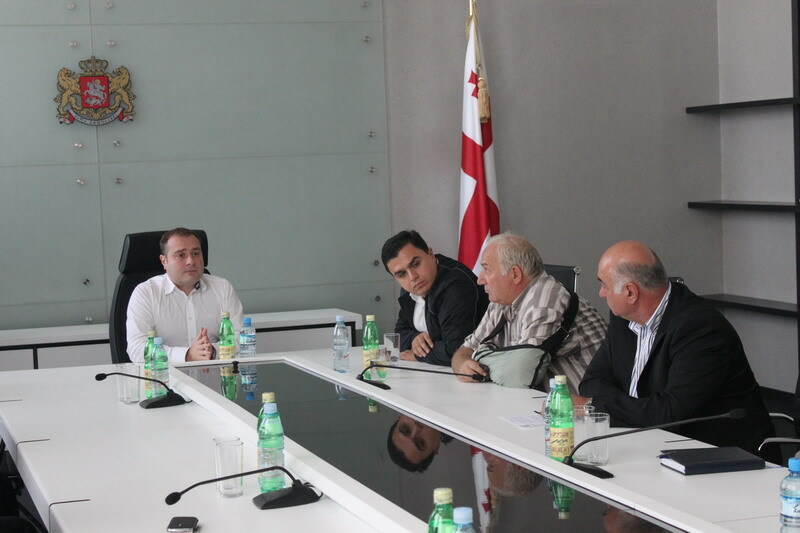 Minister of Education and Science of Georgia, Dimitri Shashkini and Chairman of the Trade Unions of Georgia, Irakli Petriashvili met the Members of Educators and Scientists Free Trade Union of Georgia. Ministry of Education and Science of Georgia, Office of the State Minister of Georgia for Diaspora Issues and the leading Universities of Georgia have been implementing the joint program “Study in Georgia” in 2010. 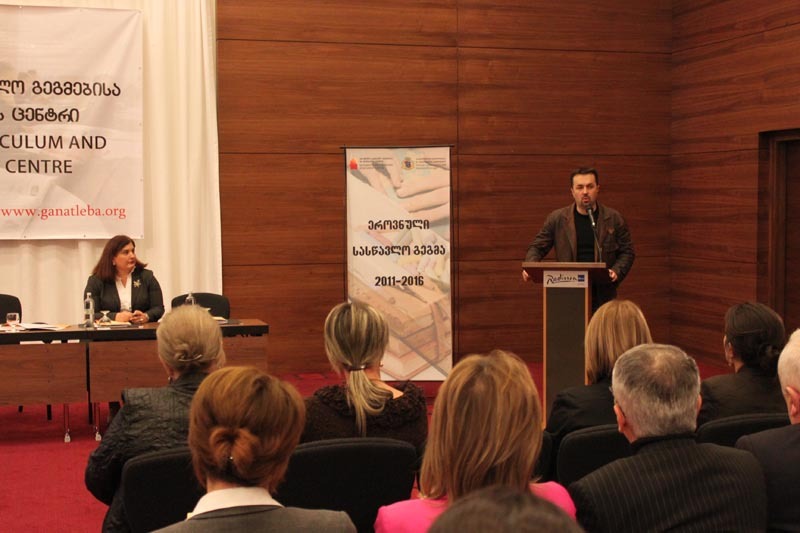 Special conference was dedicated to the ongoing reforms of the vocational education. 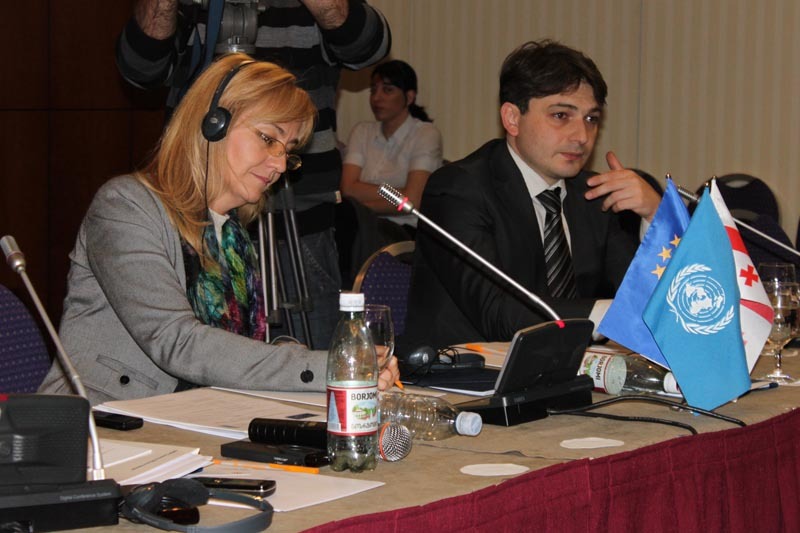 Planned amendments in the law on the vocational education were presented at the conference. His Holiness and Beatitude Catholicos Patriarch of all Georgia, Ilia II and Minister of Education and Science of Georgia, Dimitri Shashkini congratulated the schoolchildren of Queen Tamar Boarding-School on the beginning of the new school year. 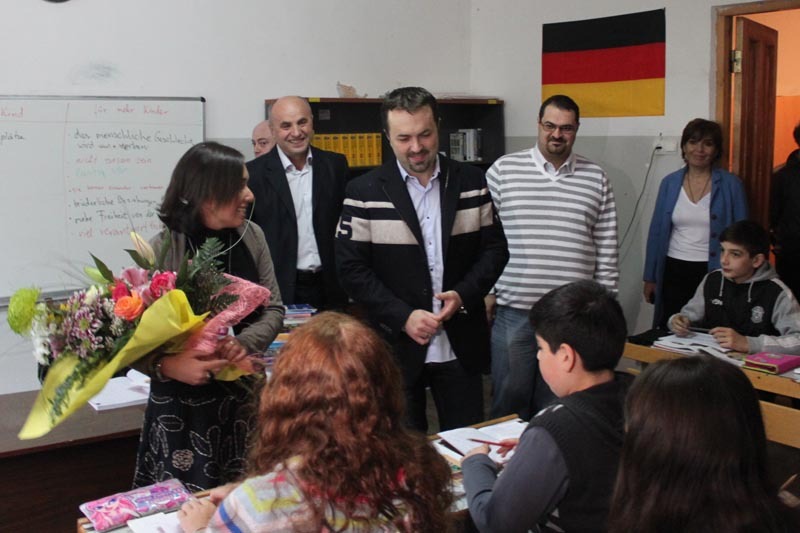 Minister of Education and Science of Georgia, Dimitri Shashkini and President of Education Professional Syndicate, Tato Shavshishvili visited Tbilisi Public School №21 in the scope of the Teacher’s Day and awarded the teacher of this school who took the highest score in the teacher’s certification exams. By the initiative of the President of Georgia, dance classes will be introduced in schools from 2011. Theoretical and practical classes in Georgian dance will be given. 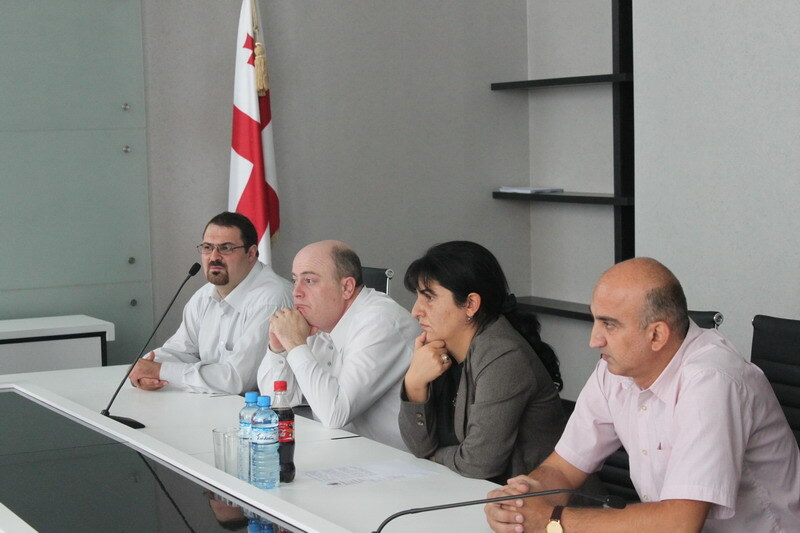 At the first level, innovation will be piloted in the schools of Tbilisi. 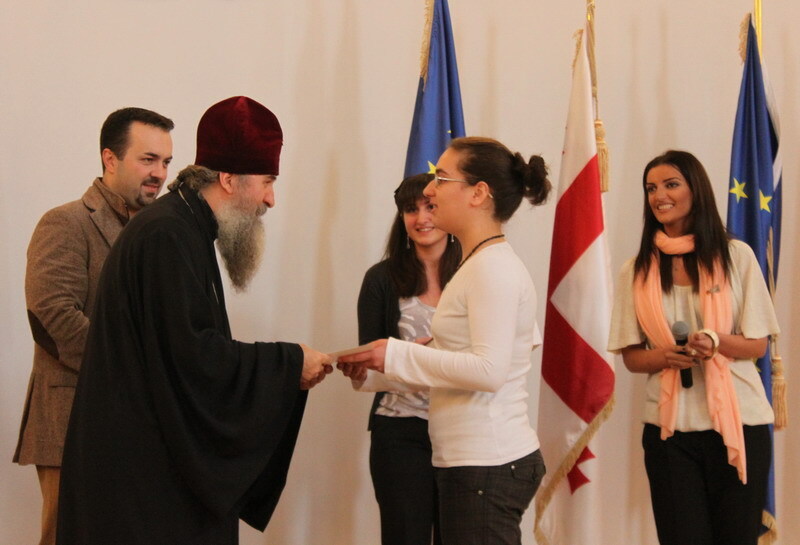 His Holiness and Beatitude Catholicos Patriarch of all Georgia, Ilia II and Minister of Education and Science of Georgia, Dimitri Shashkini congratulated the students of ST. Andrew the First Called Georgian University of Patriarchate of Georgia on the beginning of the new academic year. Another delegation of English language teachers arrived in Georgia in the scope of the program Teach And Learn With Georgia. 50 teachers will be distributed in the public schools of Georgia in order to teach the Georgian schoolchildren English language together with the local teachers. 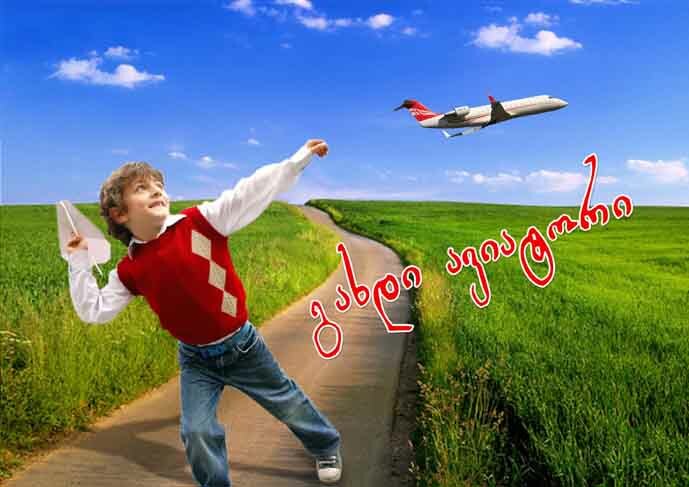 Ministry of Education and Science of Georgia, together with the air company “Airzena Georgian Airways” is launching the new competition Become an Aviator throughout Georgia. English language volunteer teachers who have arrived to Georgia in the scope of the program ,,Teach and Learn with Georgia” took part in the vintage together with the Minister of Education and Science of Georgia Dimitri Shashkini. 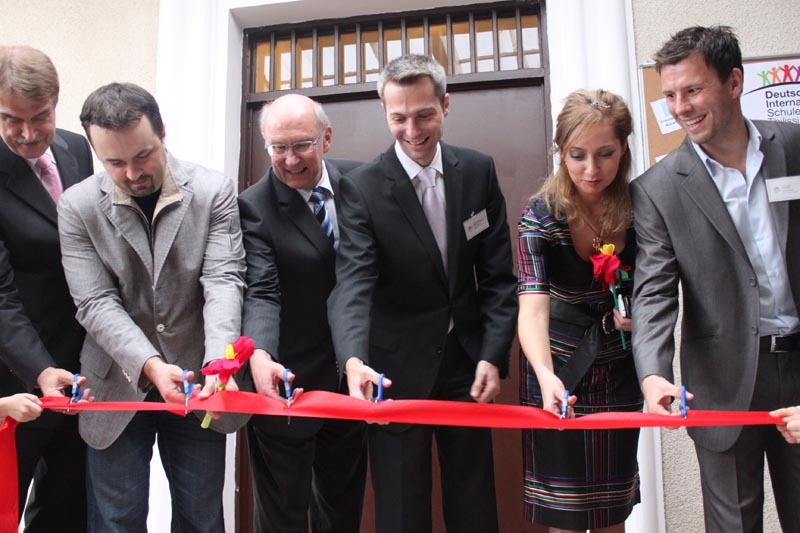 Minister of Education and Science of Georgia, Dimitri Shashkini and Chief Ambassador of Culture and Communication Division of the Federal Foreign Office of Germany, Vernen Vnendt opened Tbilisi German International School. Minister of Education and Science of Georgia, Dimitri Shashkini and Chief Ambassador of Culture and Communication Division of the Federal Foreign Office of Germany, Vernen Vnendt spoke about deepening cooperation between the two countries in the education field. Week dedicated to the 170th anniversary of Akaki Tsereteli will be held on October 25-29 in Public Schools by the initiative of MES. The schools will plan and carry out different activities in the scope of the week. Competition of the writings will be held as well where VIII-XII graders will take part. 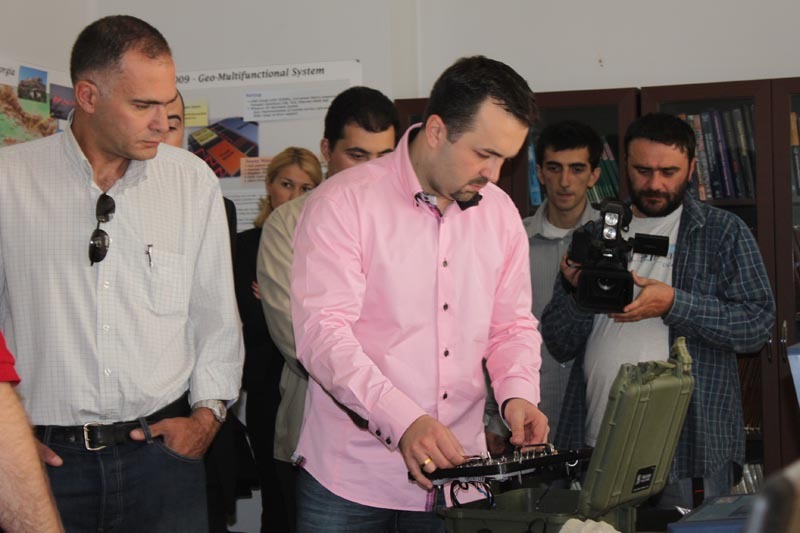 Minister of Education and Science of Georgia, Dimitri Shashkini and Rector of Ilia State University, Gigi Tevzadze visited Earth Sciences Institute and got familiarized with the unique geological multifunction technique GMSYS 2009 that was invented by Georgian scientists. 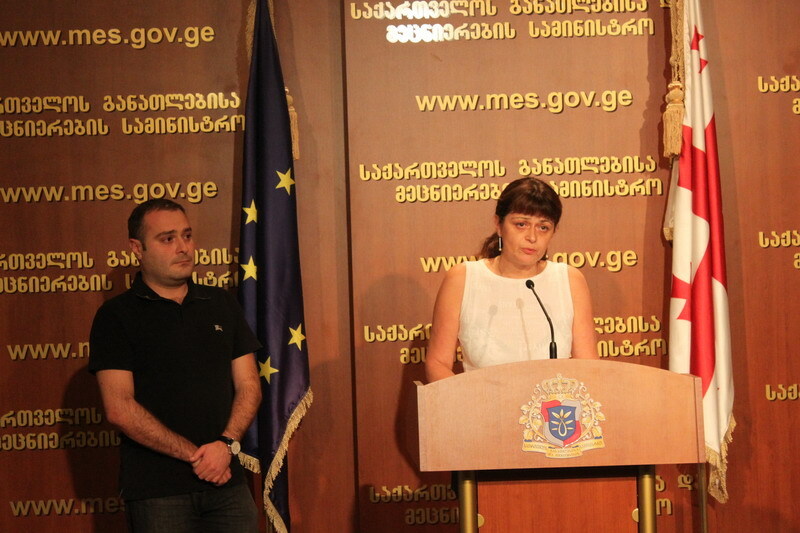 As the result of the joint investigative activities of the Prosecutor’s Office of Georgia, Chamber of Control and Audit Department of MES, Director of Kakheti experimental station of Lomouri Agriculture Institute, George Bolghashvili and Main Accountant of this institution, Gela Janiashvili have been arrested. Graduates of 158 public school donated 3,444GEL to the school in the scope of the program ALUMNI. The sum was spent for renovating the third floor, changing windows and doors, taps, ladders. Computer classroom was refurbished as well. Al-Jazeera television dedicated special topic to the project Teach and Learn With Georgia, being commenced in Georgian Public Schools. 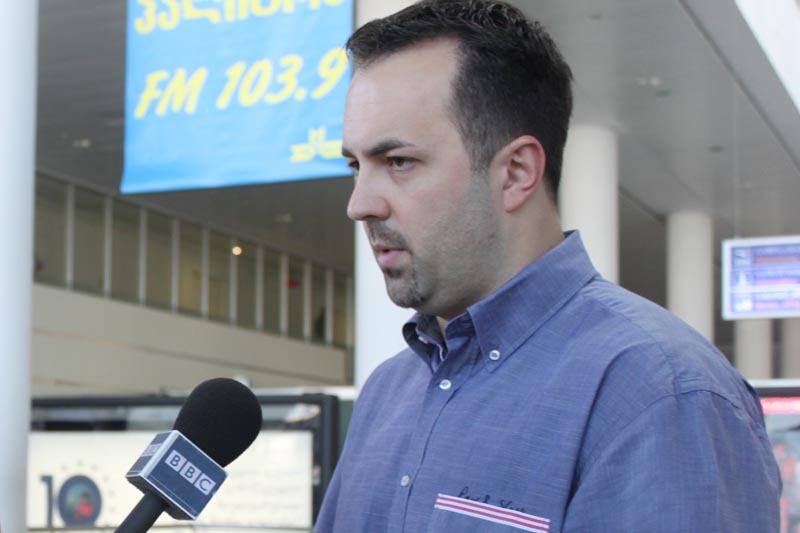 Author named recruitment of foreign teachers as the linguistic revolution. He explained in details that the country tries to leave the post-Soviet past by teaching the Georgian schoolchildren English language. Minister of Education and Science of Georgia, Dimitri Shashkini and Director of National Curriculum and Assessment Center, Natia Jokhadze personally presented the first graders of Tbilisi Public School №53 with English Language textbooks, published for the first graders of the pilot schools. 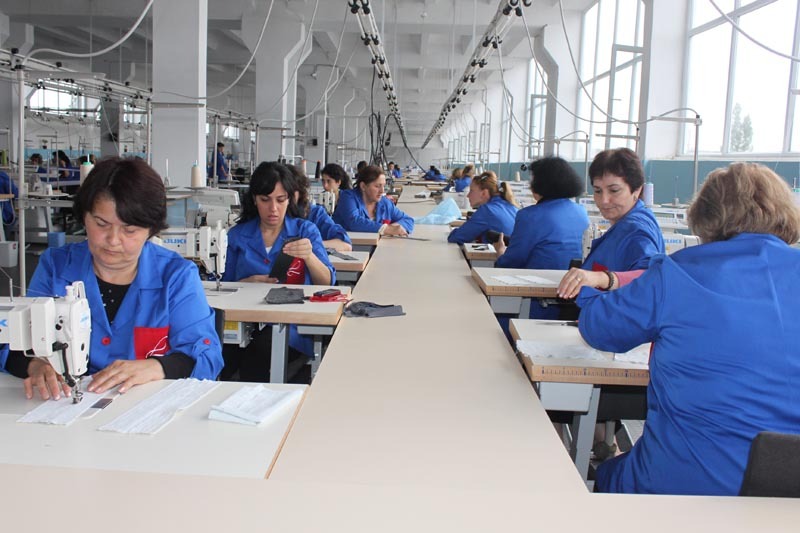 Graduates of Tbilisi Vocational Education and Training Center have been employed in the new factory Sartorial House. The graduates were awarded with the diplomas of dressmaker after passing the course at the center during one year and a half. They will receive the salary that amounts to 500 GEL. 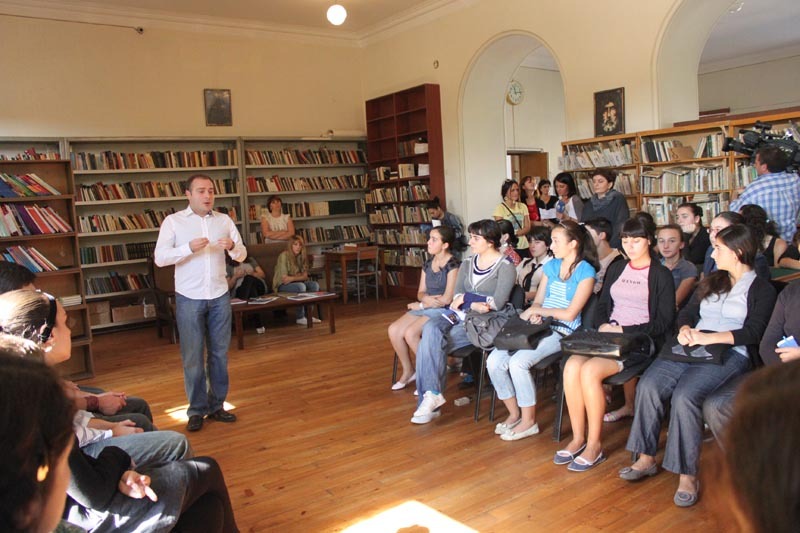 Studying is free at Tbilisi Vocational Education and Training Center. Minister of Education and Science of Georgia, Dimitri Shashkini commented on establishing Black Sea Technical University in Batumi: Education presents one of the top priorities of our country. 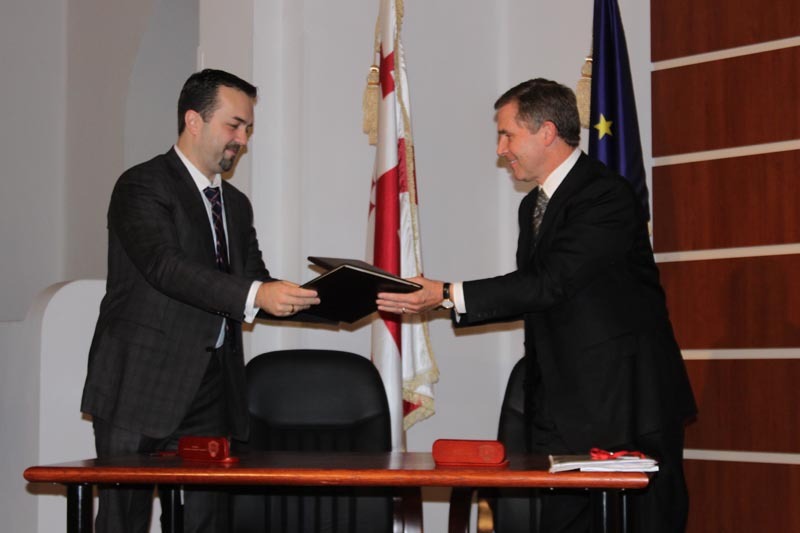 With the support of our American partners, new University will be constructed in Batumi. By the initiative of the President of Georgia, dance classes will be introduced in schools. In the scope of this initiative, First Deputy Minister of Education and Science of Georgia, Koka Seperteladze held a first working meeting. 12 adults were moved to Tbilisi Boarding-School №200 for the Children With Special Needs from the Boarding-Schools of Gurjaani, Bodbe and Kokhnari. Adults lived in the conditions that did not satisfy elementary requirements. Minister of Education and Science of Georgia, Dimitri Shashkini, Minister of Education of Azerbaijan, Misir Mardanov and Governor of Kvemo Kartli, David Kirkitadze visited Gardabani Public School №3 and congratulated the schoolchildren on the beginning of the school year in the renovated environment. 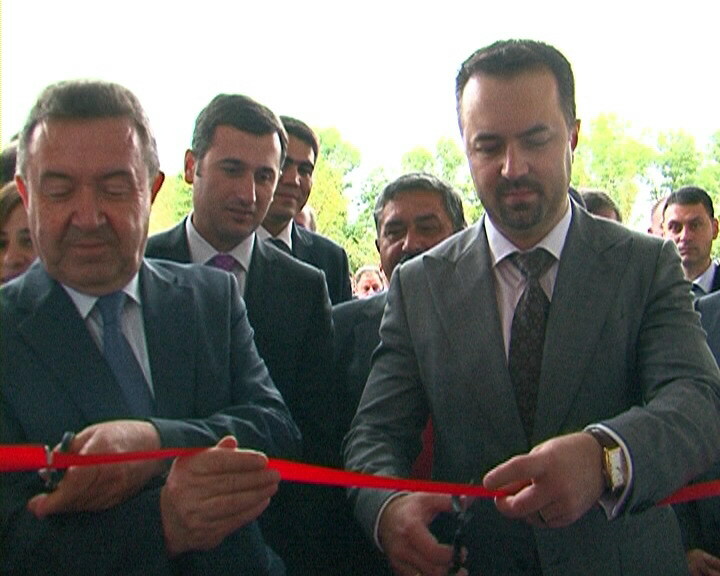 Prime Minister of Georgia, Nika Gilauri and Minister of Education and Science of Georgia, Dimitri Shashkini opened new canteen at Tbilisi Public School #161. Canteen is in compliance with modern standards. 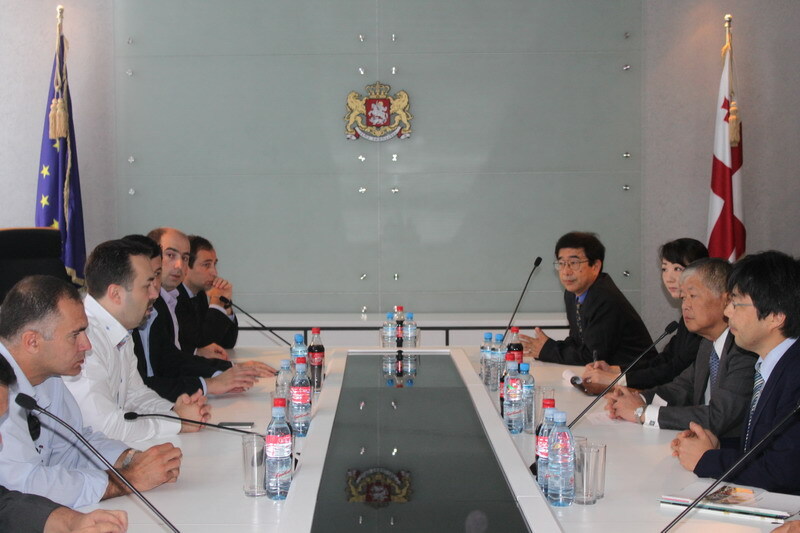 Memorandum of Understanding was signed between the High Energy Accelerator Research Organization (KEK) and Ministry of Education and Science of Georgia in April 2010 in order to foster the cooperation between Japanese and Georgian physicists. Minister of Education and Science of Georgia, Dimitri Shashkini , U.S. 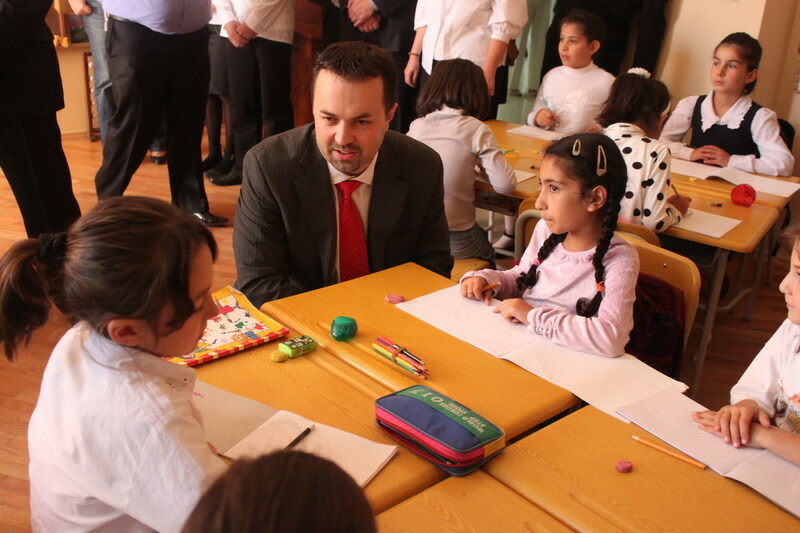 Ambassador to Georgia, John Bass and Governor of Shida Kartli, Zurab Arsoshvili visited the rehabilitated school of the village of Dzevera and spoke with the schoolchildren. 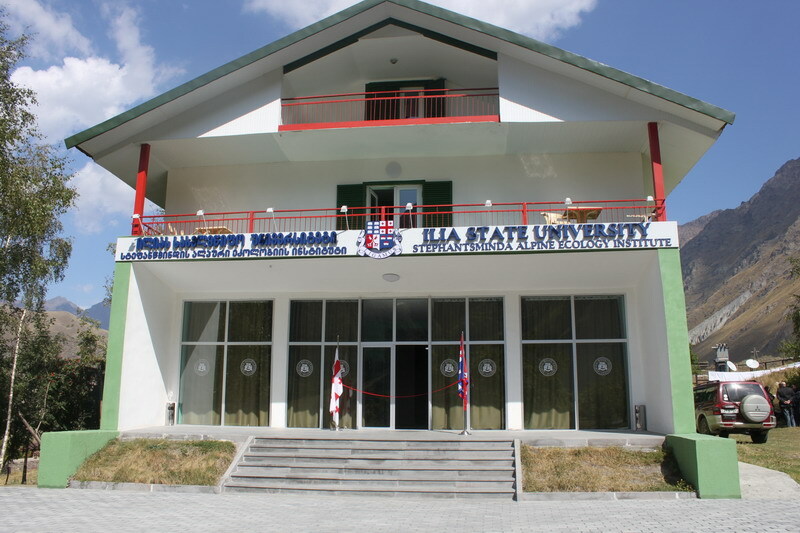 The school was renovated with the financial support of USAID. 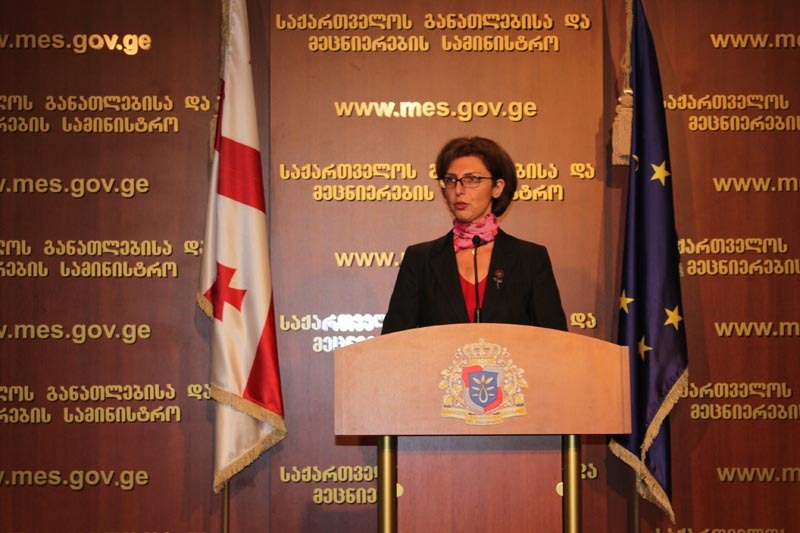 First Deputy Minister of Education and Science of Georgia, Koka Seperteladze and Director of the National Center for Teacher Professional Development, Gia Mamulashvili held a briefing on the beginning of the registration of teacher inductees. Many honorable guests attended the event dedicated to the new academic year at Sokhumi State University. Deputy Minister of Education and Science of Georgia, Nodar Surguladze was among the guests. He congratulated the students on the beginning of the new academic year and wished them success. 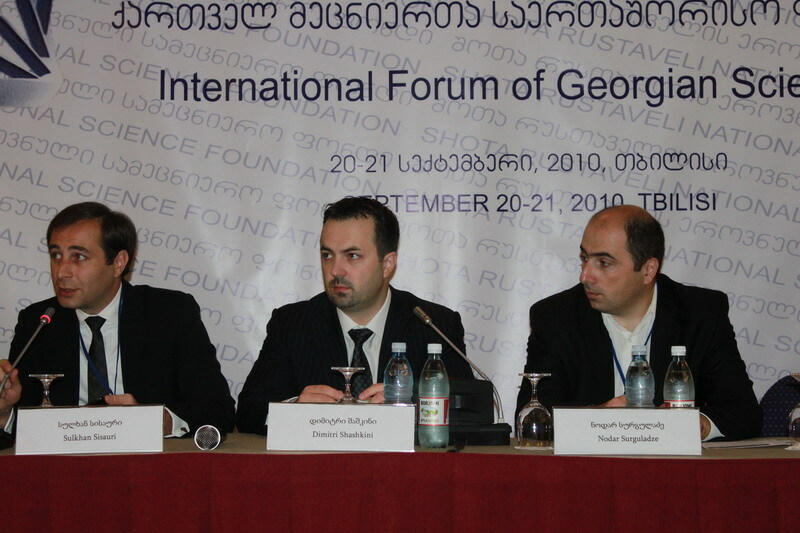 In the scope of the Forum of Georgian Scientists, two-day plenary session of Georgian scientists who work abroad was opened on September 20-21. Minister of Education and Science of Georgia, Dimitri Shashkini attended the opening of the session. 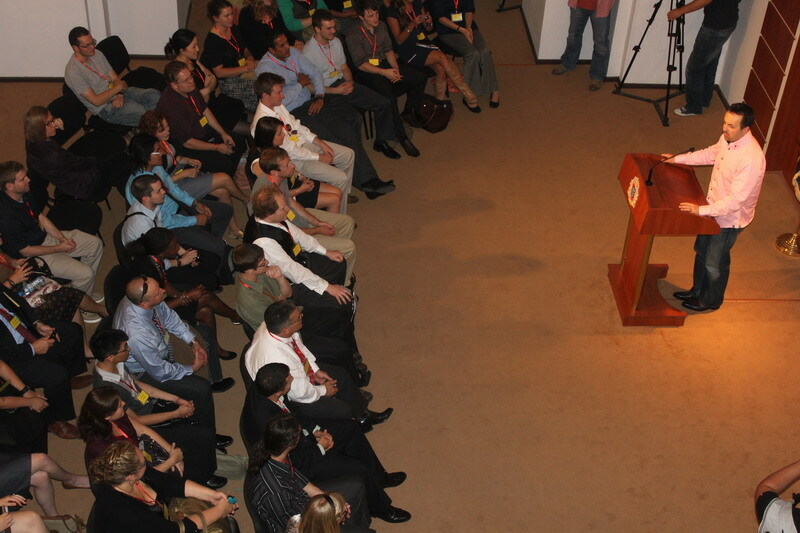 New academic year began on September 20 at Iv. Javakhishvili Tbilisi State University. Minister of Education and Science of Georgia, Dimitri Shashkini and Acting Rector of TSU, Aleksandre Kvitashvili congratulated the students on the beginning of the new academic year. Working meeting was held between the Minister of Education and Science of Georgia, Dimitri Shashkini and the President of Education Professional Syndicate, Tato Shavshishvili. 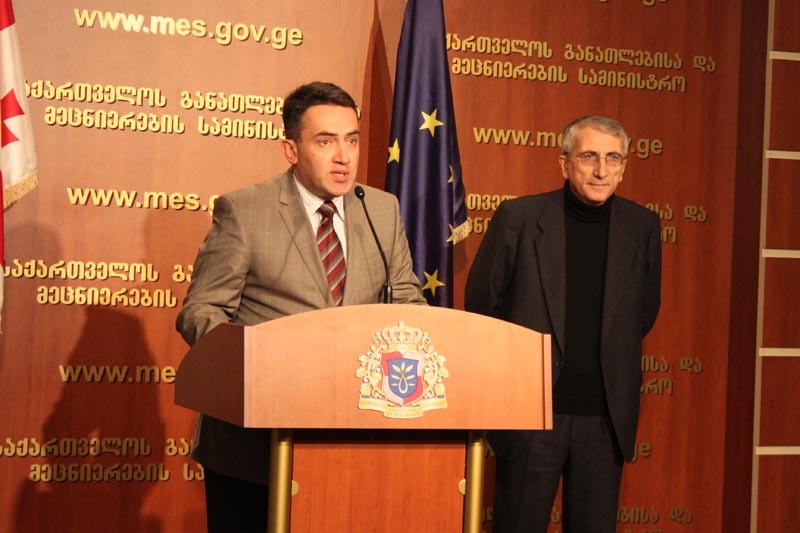 Tato Shavshishvili introduced the proposals to the Minister that are planned to be implemented in cooperation with MES. 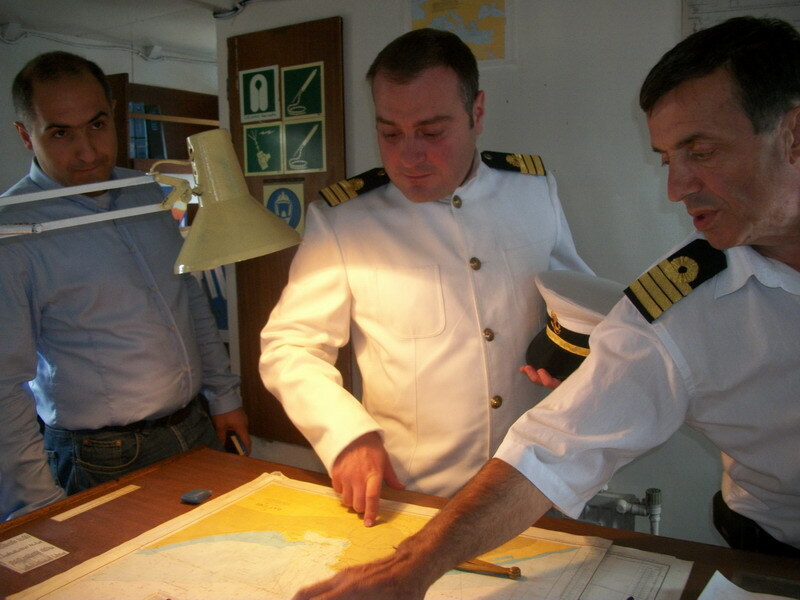 First Deputy Minister of Education and Science of Georgia, Koka Seperteladze and Minister of Education, Culture and Sport of Adjara, Gia Abuladze visited the Ship “Academy” of Batumi State Maritime Academy. According to the changes in the National Curriculum, physical fitness lessons will be replaced with sports classes from 2010-2011 academic years. 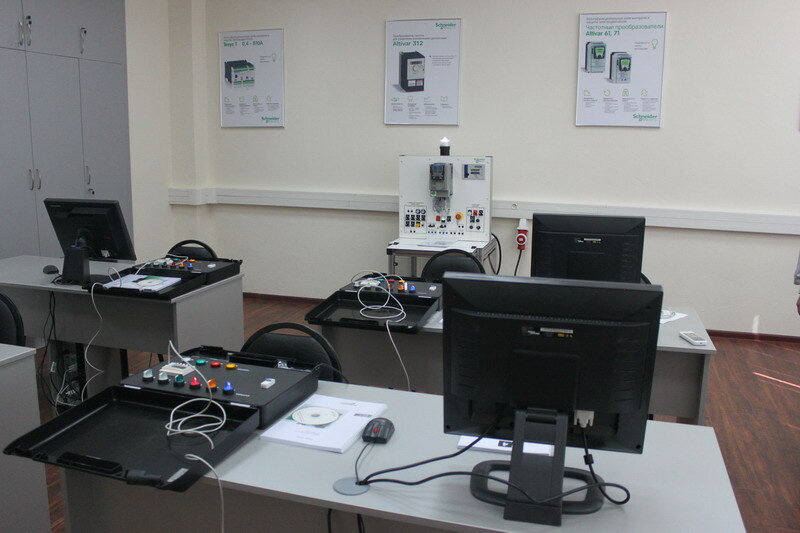 Unique center was established in Georgian Technical University for the bachelor and MA students of electro energy field. The center is in compliance with modern standards. 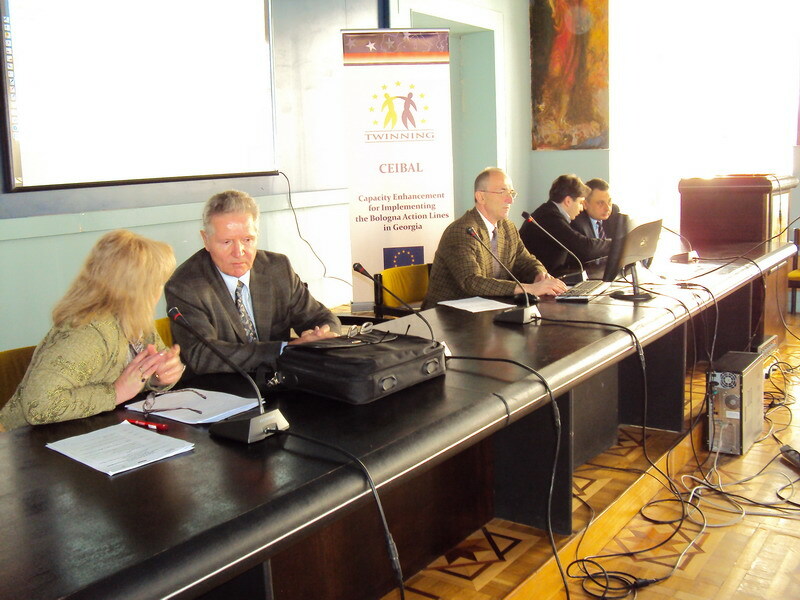 The Ministry of Education and Science of Georgia together with the National Centre for Education Accreditation continues a series of Regional Academic Summits and trainings for higher educational institutions in the framework of the Twinning/CEIBAL project. 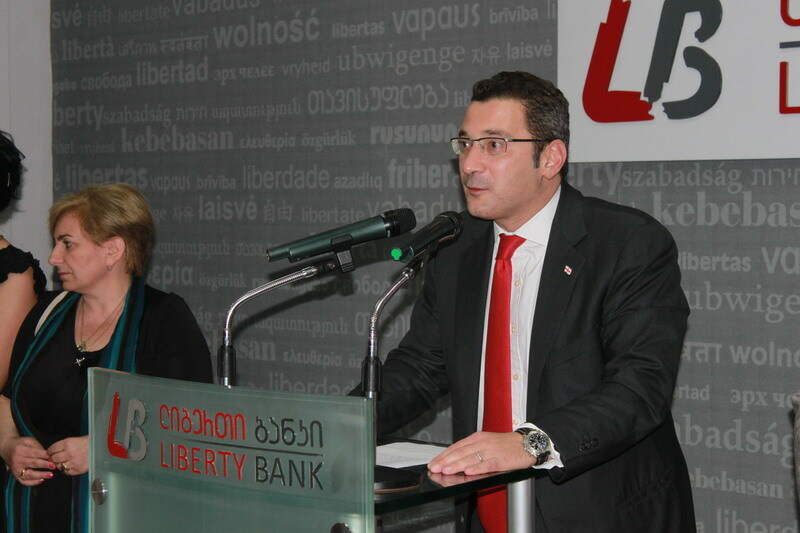 Minister of Education and Science of Georgia, Dimitri Shashkini and General Director and Executive Chairman of the Supervisory Board of Liberty Bank, Lado Gurgenidze met with certified teachers in the head office of Liberty Bank and held a briefing. 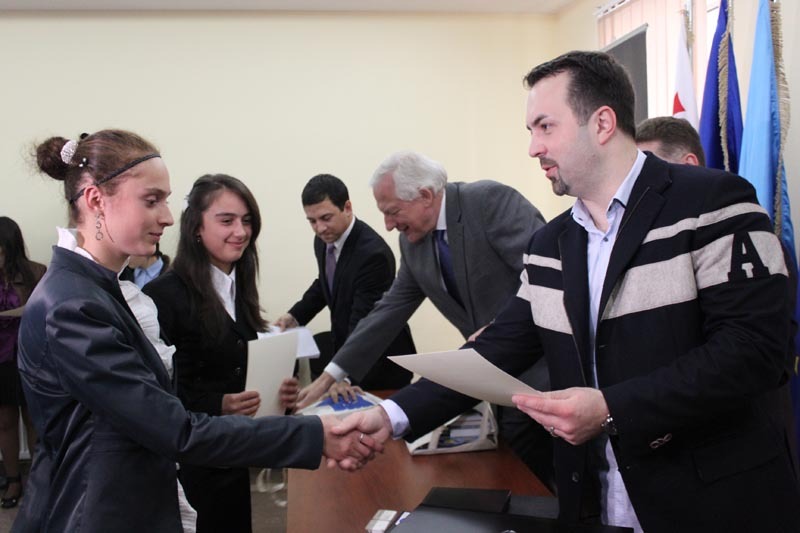 First Deputy Minister of Education and Science of Georgia, Koka Seperteladze and Minister of Education, Culture and Sport of Adjara, Gia Abuladze personally presented 25 successful school children of the basic level of the public schools of Khulo region with personal computers in the scope of the President’s national program My First Computer. 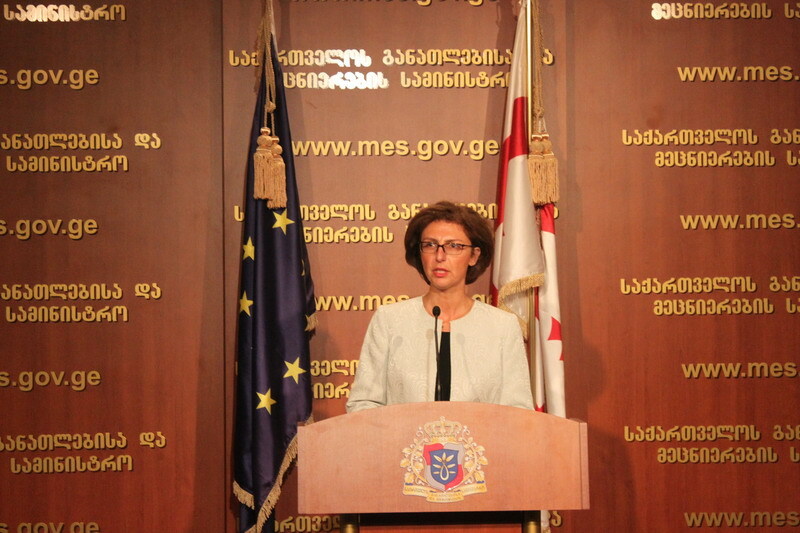 Deputy Minister of Education and Science of Georgia, Irine Kurdadze held a briefing on the prices of the school textbooks. Reception for another group of foreign teachers was held in MES in the scope of the education program Teach And Learn With Georgia. 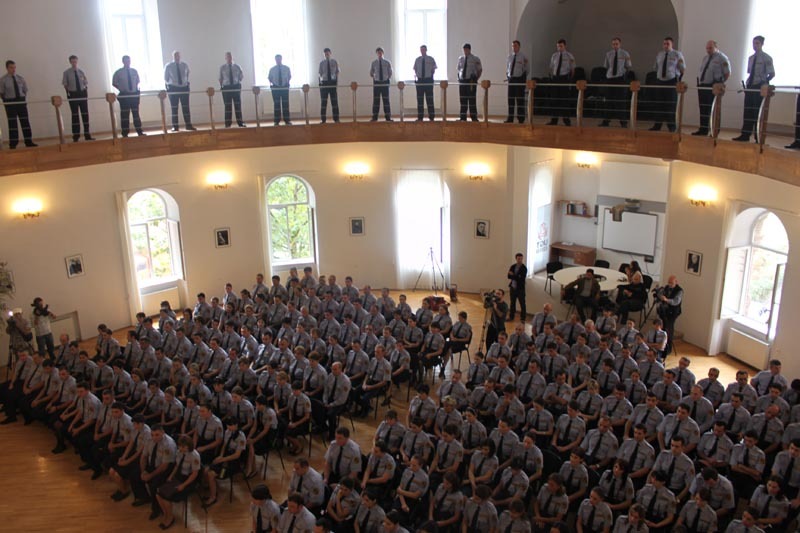 Resource officers will ensure safety in all Public Schools of Batumi from the new academic year. 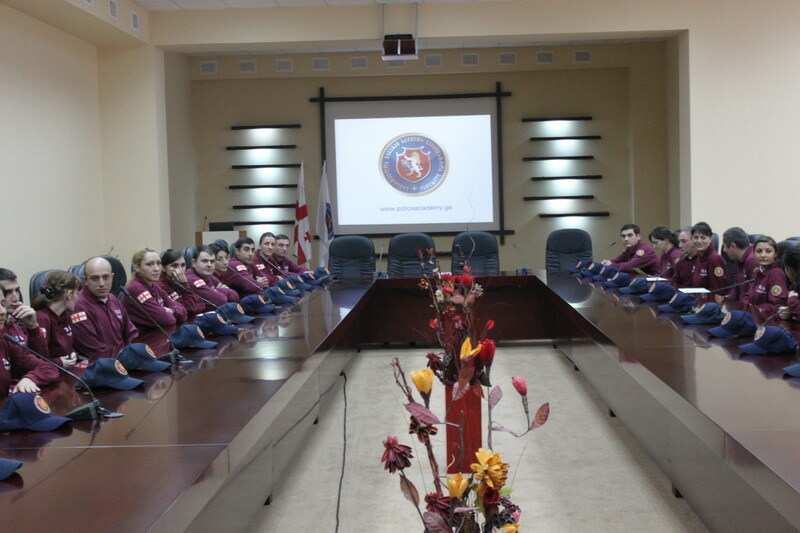 Deputy Ministers of Education and Science of Georgia, Koka Seperteladze and George Chakhnashvili introduced the three-person group of resource officers in Batumi Public School №3. Arrival of foreign teachers still continuous in the scope of the program Teach And Learn With Georgia. Traditionally, they are met by the Minister of Education and Science and Deputy Ministers in the Tbilisi International Airport. Ministry of Education and Science of Georgia sent the application to the parole commission about releasing three juvenile convicts – Levan Dumbadze, Merab Mindeli and Rati Darbaidze. 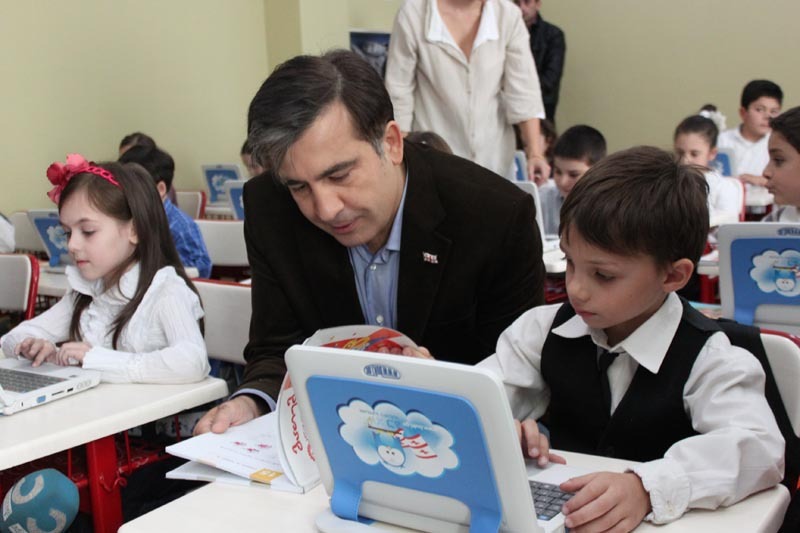 The President of Georgia, Mikheil Saakashvili opened new public school in the village of Dighomi. The school is in compliance with modern standards. The President congratulated the school children and teachers on the beginning of the new academic year. For the first time in Georgia, on September 15, new school year began in all public schools of Georgia simultaneously. 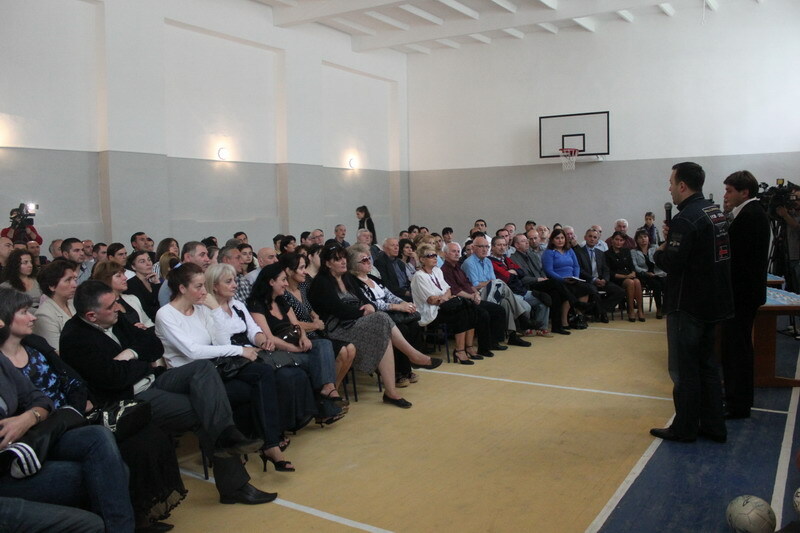 In the scope of this day, the First Lady of Georgia, Sandra Elisabeth Reolofs visited Tbilisi Pubic School №158 and attended the event, dedicated to the new academic year. Minister of Education and Science of Georgia, Dimitri Shashkini met 400 resource officers of Tbilisi Public Schools and attended the swearing in ceremony. Resource officers held a swearing in ceremony. 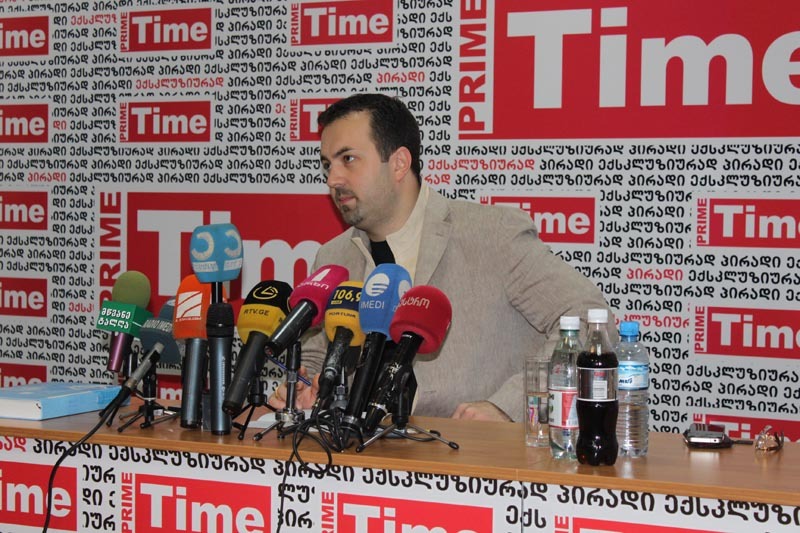 Minister of Education and Science of Georgia, Dimitri Shashkini introduced innovations of 2010-2011 academic years to the journalists at the briefing held in the office of the newspaper Prime Time. Minister thoroughly answered journalists’ questions. 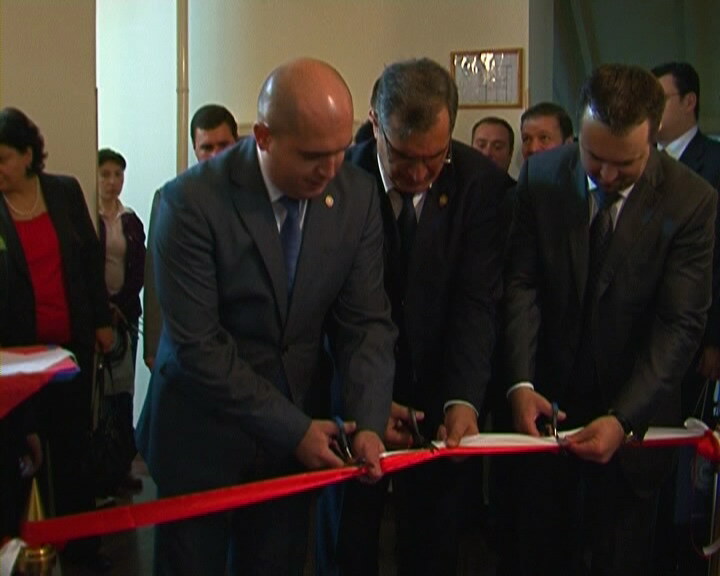 Minister of Education and Science of Georgia, Dimitri Shashkini and Minister of Environment Protection and Natural Resources, Goga Khachidze, together with the Rector of Ilia State University, Gigi Tevzadze officially opened the Institute of Alpine Ecology in Stepantsminda. 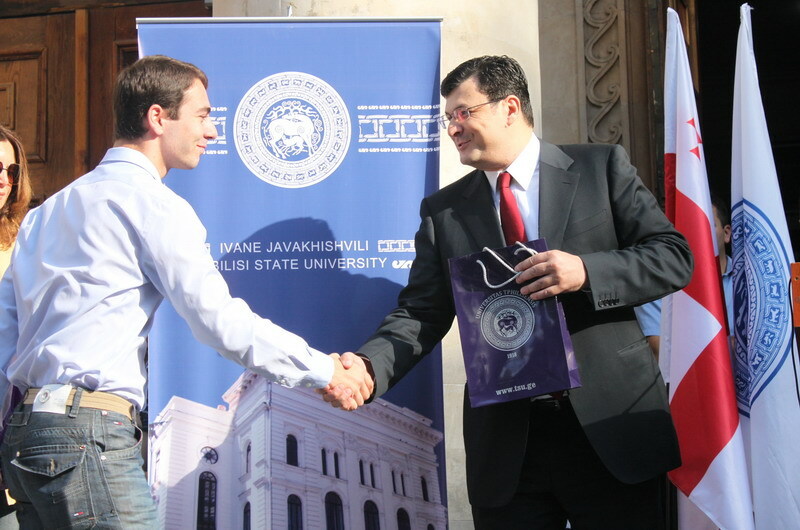 First Deputy Minister of Education and Science of Georgia, Koka Seperteladze attended the Open Day at Tbilisi State University of Economic Relations, congratulated students on the beginning of the new academic year and presented them with around 3,000 textbooks of 4 different titles on behalf of MES. 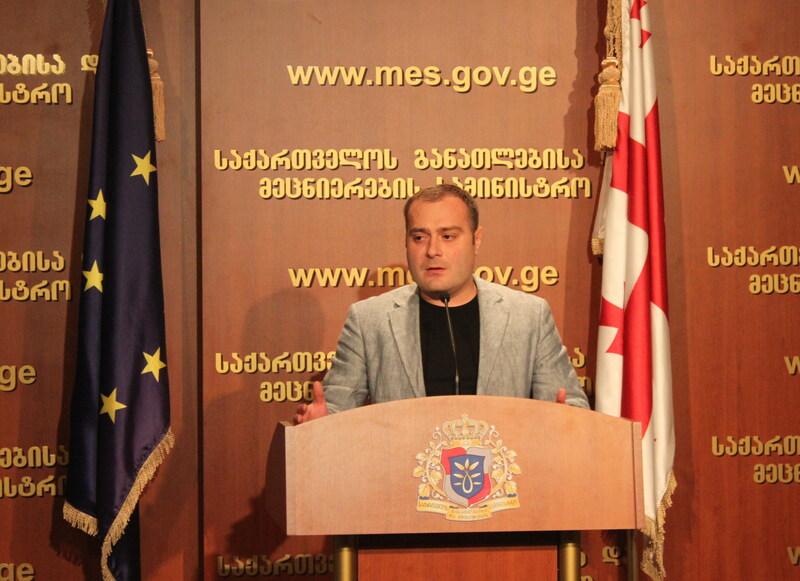 Minister of Education and Science of Georgia, Dimitri Shashkini held a presentation of the 2010-2015 Strategy Paper of MES firstly for the journalists. According to the initiative of the President of Georgia, teaching of English language will be launched from the first form in some pilot schools of Georgia. 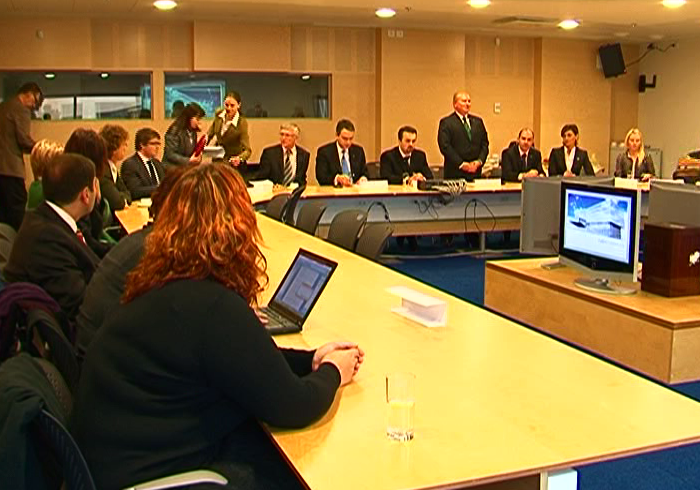 If the piloting passes successfully, the project will be launched in all schools from 2011. Teachers, who will teach the first graders foreign language, passed the special training. Adelina Chanturia, who lives in the orphanage of Kojori, will continue studying in the private school-lyceum “Mtsignobartukhutsesi” in the 12th form in the scope of the program, initiated by MES. Minister personally took the girl in the new school and presented her with the personal computer. 25,381 students have been enrolled in accredited higher educational institutions of Georgia according to 2010 Unified Entry Exams. 3,276 of them will continue studying at higher professional programs.